Nitric oxide (NO), one of the smallest known bioactive products of mammalian cells, can be produced by almost all cells [1Pautz A, Art J, Hahn S, et al. Regulation of the expression of inducible nitric oxide synthase Nitric Oxide 2010; 23: 75-93.]. In mammals, 3 distinct isoforms of nitric oxide synthase (NOS) neuronal (nNOS), inducible (iNOS) and endothelial (eNOS) have been identified [1Pautz A, Art J, Hahn S, et al. Regulation of the expression of inducible nitric oxide synthase Nitric Oxide 2010; 23: 75-93.]. These enzymes are products of different genes, with different localization, regulation, catalytic properties and inhibitor sensitivity, and with 51-57% homology between the human isoforms [2Forstermann U, Li H, Schwarz P, Kleinert H. NO Synthesis and NOS regulation In: Forman H, Fukuto J, Torres M, Eds. Signal Transduction by Reactive Oxygen and Nitrogen Species: Pathways and Chemical Principles. Netherlands: Springer 2004; pp. 119-54.]. NOS can produce NO, superoxide anion (O2−) or peroxynitrite [3Zhang P, Xu X, Hu X, et al. Inducible nitric oxide synthase deficiency protects the heart from systolic overload-induced ventricular hypertrophy and congestive heart failure Circ Res 2007; 100: 1089-98.]. The enzyme transforms L-arginine (L-Arg) to L-citrulline and NO, which mediates relaxation of the blood vessels through the activation of cyclic guanosine monophosphate (cGMP)-dependent pathways in vascular smooth muscle cells (VSMC) [4Sudar E, Dobutovic B, Soskic S, et al. Regulation of inducible nitric oxide synthase activity/expression in rat hearts from ghrelin-treated rats J Physiol Biochem 2010.-7Isenovic ER, Meng Y, Divald A, Milivojevic N, Sowers JR. Role of phosphatidylinositol 3-kinase/Akt pathway in angiotensin II and insulin-like growth factor-1 modulation of nitric oxide synthase in vascular smooth muscle cells Endocrine 2002; 19: 287-92.]. A second major pathway of L-Arg metabolism is via arginase, a hydrolytic enzyme responsible for converting L-Arg to urea and L-ornithine, the synthesis precursor of polyamines [8Mori M, Gotoh T. Regulation of nitric oxide production by arginine metabolic enzymes Biochem Biophys Res Commun 2000; 275: 715-9.]. Vascular arginase activity is suspected to modulate intracellular levels of L-Arg, which is a limiting factor in NO production by NOS [4Sudar E, Dobutovic B, Soskic S, et al. Regulation of inducible nitric oxide synthase activity/expression in rat hearts from ghrelin-treated rats J Physiol Biochem 2010., 8Mori M, Gotoh T. Regulation of nitric oxide production by arginine metabolic enzymes Biochem Biophys Res Commun 2000; 275: 715-9.]. iNOS is a high output Ca2+-independent NOS whose expression can be induced in a wide range of cells and tissues by cytokines and other agents. After induction, iNOS continuously produces NO until the enzyme is degraded [1Pautz A, Art J, Hahn S, et al. Regulation of the expression of inducible nitric oxide synthase Nitric Oxide 2010; 23: 75-93., 9MacMicking J, Xie QW, Nathan C. Nitric oxide and macrophage function Annu Rev Immunol 1997; 15: 323-50.]. Chronic inflammation has been postulated to play an important role in the pathogenesis of insulin resistance (IR) [10Fujimoto M, Shimizu N, Kunii K, et al. A role for iNOS in fasting hyperglycemia and impaired insulin signaling in the liver of obese diabetic mice Diabetes 2005; 54: 1340-8.]. It has been shown that iNOS has been implicated in many human diseases associated with inflammation [10Fujimoto M, Shimizu N, Kunii K, et al. A role for iNOS in fasting hyperglycemia and impaired insulin signaling in the liver of obese diabetic mice Diabetes 2005; 54: 1340-8., 11LaPointe MC, Isenovic E. Interleukin-1beta regulation of inducible nitric oxide synthase and cyclooxygenase-2 involves the p42/44 and p38 MAPK signaling pathways in cardiac myocytes Hypertension 1999; 33: 276-82.]. iNOS deficiency was shown to prevent high-fat diet-induced IR in skeletal muscle of mice but not in the liver [10Fujimoto M, Shimizu N, Kunii K, et al. A role for iNOS in fasting hyperglycemia and impaired insulin signaling in the liver of obese diabetic mice Diabetes 2005; 54: 1340-8.]. A role for iNOS in fasting hyperglycemia and hepatic IR, however, remains to be investigated in obesity-related diabetes [10Fujimoto M, Shimizu N, Kunii K, et al. A role for iNOS in fasting hyperglycemia and impaired insulin signaling in the liver of obese diabetic mice Diabetes 2005; 54: 1340-8.]. IR associated with type 2 diabetes mellitus (T2DM) contributes to impaired vasorelaxation in diabetic rats [12Lee JH, Palaia T, Ragolia L. Impaired insulin-mediated vasorelaxation in diabetic Goto-Kakizaki rats is caused by impaired Akt phosphorylation Am J Physiol Cell Physiol 2009; 296: C327-38.]. Impaired cardiovascular function in T2DM is partially attributed to pathological overexpression of iNOS in cardiovascular tissues of diabetic rats [13Nagareddy PR, Soliman H, Lin G, et al. Selective inhibition of protein kinase C beta(2) attenuates inducible nitric oxide synthase-mediated cardiovascular abnormalities in streptozotocin-induced diabetic rats Diabetes 2009; 58: 2355-64.]. Increasing evidence now implicates the abnormal activation of protein kinase C beta 2 (PKCβ2), secondary to increased formation of diacylglycerol (DAG) by hyperglycemia, in a number of cardiovascular T2DM complications [13Nagareddy PR, Soliman H, Lin G, et al. Selective inhibition of protein kinase C beta(2) attenuates inducible nitric oxide synthase-mediated cardiovascular abnormalities in streptozotocin-induced diabetic rats Diabetes 2009; 58: 2355-64.-15Inoguchi T, Battan R, Handler E, et al. Preferential elevation of protein kinase C isoform beta II and diacylglycerol levels in the aorta and heart of diabetic rats: differential reversibility to glycemic control by islet cell transplantation Proc Natl Acad Sci USA 1992; 89: 11059-63.]. Several studies have found preferential increases in expression and/or activation of the PKCβ2 isoform in cardiac and vascular tissues of diabetic rats [13Nagareddy PR, Soliman H, Lin G, et al. Selective inhibition of protein kinase C beta(2) attenuates inducible nitric oxide synthase-mediated cardiovascular abnormalities in streptozotocin-induced diabetic rats Diabetes 2009; 58: 2355-64., 15Inoguchi T, Battan R, Handler E, et al. Preferential elevation of protein kinase C isoform beta II and diacylglycerol levels in the aorta and heart of diabetic rats: differential reversibility to glycemic control by islet cell transplantation Proc Natl Acad Sci USA 1992; 89: 11059-63.-17Lin G, Liu Y, MacLeod KM. Regulation of muscle creatine kinase by phosphorylation in normal and diabetic hearts Cell Mol Life Sci 2009; 66: 135-44.]. Excessive NO formation is thought to contribute to contractile dysfunction; in macrophages, increased iNOS expression is associated with increased arginase expression, which competes with iNOS for arginine in rabbits [18Heusch P, Aker S, Boengler K, et al. Increased inducible nitric oxide synthase and arginase II expression in heart failure: no net nitrite/nitrate production and protein S-nitrosylation Am J Physiol Heart Circ Physiol 2010; 299: H446-53.]. With substrate limitation, iNOS may become uncoupled and produce reactive oxygen species (ROS) [18Heusch P, Aker S, Boengler K, et al. Increased inducible nitric oxide synthase and arginase II expression in heart failure: no net nitrite/nitrate production and protein S-nitrosylation Am J Physiol Heart Circ Physiol 2010; 299: H446-53.]. Concomitant increases in iNOS and arginase expression result in unchanged NO species and protein S-nitrosylation; with substrate limitation, uncoupled iNOS produces superoxide anions and contributes to contractile dysfunction heart failure (HF) [18Heusch P, Aker S, Boengler K, et al. Increased inducible nitric oxide synthase and arginase II expression in heart failure: no net nitrite/nitrate production and protein S-nitrosylation Am J Physiol Heart Circ Physiol 2010; 299: H446-53.]. The role of iNOS on cardiac function during the development of left ventricular hypertrophy in mice has been investigated [19Dias FA, Urboniene D, Yuzhakova MA, et al. Ablation of iNOS delays cardiac contractile dysfunction in chronic hypertension Front Biosci (Elite Ed) 2010; 2: 312-24.]. Recent data demonstrate that NO production via iNOS plays an important role in modulating cardiac function after moderate aortic banding (AoB) that mimics long-term hypertension in humans [19Dias FA, Urboniene D, Yuzhakova MA, et al. Ablation of iNOS delays cardiac contractile dysfunction in chronic hypertension Front Biosci (Elite Ed) 2010; 2: 312-24.]. This review focuses on recent advances from animal studies in the understanding of regulation of iNOS activity/expression and role of iNOS agonists as potential therapeutic agents in treatment of complex diseases such are IR, T2DM and HF (Table 1). iNOS was originally identified in macrophages and recognized as part of the cytostatic and cytotoxic mechanisms that operate in these cells [20Moncada S, Higgs EA. Nitric oxide and the vascular endothelium Handb Exp Pharmacol 2006; 213-54., 21Hibbs JB, Taintor RR, Vavrin Z, et al. Synthesis of nitric oxide from a terminal guanidine nitrogen atom of l-arginine: a molecular mechanism regulating cellular proliferation that targets intracellular iron. Amsterdam: Elsevier 1990.]. Unlike eNOS, iNOS is mostly transcriptionally regulated and is not normally produced in most cells [22Morris SM Jr, Billiar TR. New insights into the regulation of inducible nitric oxide synthesis Am J Physiol 1994; 266: E829-39., 23Forstermann U, Closs EI, Pollock JS, et al. Nitric oxide synthase isozymes. Characterization, purification, molecular cloning, and functions Hypertension 1994; 23: 1121-31.]. Although the rank order of intrinsic activity of the isomers of NOS per unit time is nNOS>iNOS>eNOS [24Santolini J, Meade AL, Stuehr DJ. Differences in three kinetic parameters underpin the unique catalytic profiles of nitric-oxide synthases I, II, and III J Biol Chem 2001; 276: 48887-98. ], iNOS generates 100 to 1000-fold more NO than eNOS [22Morris SM Jr, Billiar TR. New insights into the regulation of inducible nitric oxide synthesis Am J Physiol 1994; 266: E829-39., 25Nathan C, Xie QW. Nitric oxide synthases: roles, tolls, and controls Cell 1994; 78: 915-8.] since, once it is expressed in response to immunological stimuli, its activity persists for many hours [20Moncada S, Higgs EA. Nitric oxide and the vascular endothelium Handb Exp Pharmacol 2006; 213-54. ].The literature data together with our previously reported data [4Sudar E, Dobutovic B, Soskic S, et al. Regulation of inducible nitric oxide synthase activity/expression in rat hearts from ghrelin-treated rats J Physiol Biochem 2010., 7Isenovic ER, Meng Y, Divald A, Milivojevic N, Sowers JR. Role of phosphatidylinositol 3-kinase/Akt pathway in angiotensin II and insulin-like growth factor-1 modulation of nitric oxide synthase in vascular smooth muscle cells Endocrine 2002; 19: 287-92., 26Isenovic E, LaPointe MC. Role of Ca(2+)-independent phospholipase A(2) in the regulation of inducible nitric oxide synthase in cardiac myocytes Hypertension 2000; 35: 249-54., 27Sudar E, Velebit J, Gluvic Z, et al. Hypothetical mechanism of sodium pump regulation by estradiol under primary hypertension J Theor Biol 2008; 251: 584-92.] suggested that protein kinase B (Akt) and mitogen-activated protein kinase (MAPK) p42/44 or extracellular signal-regulated kinase (ERK1/2) are involved in regulation of iNOS activity or expression in cardiovascular tissues. ERK1/2 signaling pathway is a distinct Ser-Thr kinase cascade consisting of 3 enzymes: MAPK kinase kinase, MAPK kinase (MAPKK, MEK, MKK), and MAPK [4Sudar E, Dobutovic B, Soskic S, et al. Regulation of inducible nitric oxide synthase activity/expression in rat hearts from ghrelin-treated rats J Physiol Biochem 2010.]. Upstream activators of the MAPK pathways include small GTP-ases of the Ras family, and downstream effectors include transcription factors and other kinases [4Sudar E, Dobutovic B, Soskic S, et al. Regulation of inducible nitric oxide synthase activity/expression in rat hearts from ghrelin-treated rats J Physiol Biochem 2010., 28Hill CS, Treisman R. Transcriptional regulation by extracellular signals: mechanisms and specificity Cell 1995; 80: 199-211., 29Minden A, Lin A, McMahon M, et al. Differential activation of ERK and JNK mitogen-activated protein kinases by Raf-1 and MEKK Science 1994; 266: 1719-23.]. Akt is another Ser/Thr protein kinase an important downstream target of phosphatidylinositol 3-kinase (PI3K) [29Minden A, Lin A, McMahon M, et al. Differential activation of ERK and JNK mitogen-activated protein kinases by Raf-1 and MEKK Science 1994; 266: 1719-23.]. Activation of receptor Tyr kinases leads to phosphorylation and binding to PI3K lipid products to the Akt plekstrin homology domain resulting in recruitment of Akt to the plasma membrane where it is phosphorylated at the Thr308 and Ser473 residues and thus becomes activated [30Downward J. Mechanisms and consequences of activation of protein kinase B/Akt Curr Opin Cell Biol 1998; 10: 262-7., 31Murga C, Laguinge L, Wetzker R, Cuadrado A, Gutkind JS. Activation of Akt/protein kinase B by G protein-coupled receptors. A role for alpha and beta gamma subunits of heterotrimeric G proteins acting through phosphatidylinositol-3-OH kinasegamma J Biol Chem 1998; 273: 19080-5.]. However Hausel et al. described regulation of iNOS activity and protein stability by src-mediated tyrosine phosphorylation [1Pautz A, Art J, Hahn S, et al. Regulation of the expression of inducible nitric oxide synthase Nitric Oxide 2010; 23: 75-93., 32Hausel P, Latado H, Courjault-Gautier F, Felley-Bosco E. Src-mediated phosphorylation regulates subcellular distribution and activity of human inducible nitric oxide synthase Oncogene 2006; 25: 198-206.]. As iNOS activity depends on arginine availability, regulation of arginine transport [33Closs EI, Scheld JS, Sharafi M, Forstermann U. Substrate supply for nitric-oxide synthase in macrophages and endothelial cells: role of cationic amino acid transporters Mol Pharmacol 2000; 57: 68-74., 34Wu J, Lin Q, Lu Y, Willis WD, Westlund KN. Changes in nitric oxide synthase isoforms in the spinal cord of rat following induction of chronic arthritis Exp Brain Res 1998; 118: 457-65.] or consumption of arginine by other biochemical pathways [4Sudar E, Dobutovic B, Soskic S, et al. Regulation of inducible nitric oxide synthase activity/expression in rat hearts from ghrelin-treated rats J Physiol Biochem 2010.] (e.g. arginase) [8Mori M, Gotoh T. Regulation of nitric oxide production by arginine metabolic enzymes Biochem Biophys Res Commun 2000; 275: 715-9., 35El-Gayar S, Thuring-Nahler H, Pfeilschifter J, Rollinghoff M, Bogdan C. Translational control of inducible nitric oxide synthase by IL-13 and arginine availability in inflammatory macrophages J Immunol 2003; 171: 4561-8.-37Mori M. Regulation of nitric oxide synthesis and apoptosis by arginase and arginine recycling J Nutr 2007; 137: 1616S-20S.] has been shown to regulate iNOS enzyme activity. The active iNOS enzyme is a homodimer. Homodimerization of iNOS depends on the availability of its essential cofactor tetrahydrobiopterin (BH4) [38Forstermann U, Gath I, Schwarz P, Closs EI, Kleinert H. Isoforms of nitric oxide synthase. Properties, cellular distribution and expressional control Biochem Pharmacol 1995; 50: 1321-32., 39Tzeng E, Billiar TR, Robbins PD, Loftus M, Stuehr DJ. Expression of human inducible nitric oxide synthase in a tetrahydrobiopterin (H4B)-deficient cell line: H4B promotes assembly of enzyme subunits into an active dimer Proc Natl Acad Sci USA 1995; 92: 11771-5.]. Therefore, mechanisms regulating BH4 synthesis and consumption regulate iNOS activity [40Ionova IA, Vasquez-Vivar J, Whitsett J, et al. Deficient BH4 production via de novo and salvage pathways regulates NO responses to cytokines in adult cardiac myocytes Am J Physiol Heart Circ Physiol 2008; 295: H2178-87., 41Muhl H, Pfeilschifter J. Tetrahydrobiopterin is a limiting factor of nitric oxide generation in interleukin 1 beta-stimulated rat glomerular mesangial cells Kidney Int 1994; 46: 1302-6.]. Additionally some proteins have been identified that interact with iNOS and regulate its activity. By yeast two hybrid screens using murine iNOS as bait the protein kalirin was shown to interact with the iNOS protein. This protein inhibits iNOS activity by preventing enzyme dimerization [42Ratovitski EA, Alam MR, Quick RA, et al. Kalirin inhibition of inducible nitric-oxide synthase J Biol Chem 1999; 274: 993-.]. In murine macrophages, a 110-kDa protein (named NAP110) has been identified, that directly interacts with the amino terminus of iNOS, thereby preventing dimer formation and inhibiting NOS activity [43Ratovitski EA, Bao C, Quick RA, et al. An inducible nitric-oxide synthase (NOS)-associated protein inhibits NOS dimerization and activity J Biol Chem 1999; 274: 30250-7.]. In rat (VSMC) iNOS protein has been found to interact with the calcium/calmodulin-dependent protein kinase II (CaMKII) [23Forstermann U, Closs EI, Pollock JS, et al. Nitric oxide synthase isozymes. Characterization, purification, molecular cloning, and functions Hypertension 1994; 23: 1121-31.]. Beside regulation of cellular iNOS protein localization all treatments that chronically affected CaMKII activity or expression significantly inhibited iNOS-specific activity following cytokine induction [1Pautz A, Art J, Hahn S, et al. Regulation of the expression of inducible nitric oxide synthase Nitric Oxide 2010; 23: 75-93., 44Jones RJ, Jourd'heuil D, Salerno JC, Smith SM, Singer HA. iNOS regulation by calcium/calmodulin-dependent protein kinase II in vascular smooth muscle Am J Physiol Heart Circ Physiol 2007; 292: H2634-42.]. iNOS is now known to be expressed in almost every cell type [ 4Sudar E, Dobutovic B, Soskic S, et al. Regulation of inducible nitric oxide synthase activity/expression in rat hearts from ghrelin-treated rats J Physiol Biochem 2010., 7Isenovic ER, Meng Y, Divald A, Milivojevic N, Sowers JR. Role of phosphatidylinositol 3-kinase/Akt pathway in angiotensin II and insulin-like growth factor-1 modulation of nitric oxide synthase in vascular smooth muscle cells Endocrine 2002; 19: 287-92., 20Moncada S, Higgs EA. Nitric oxide and the vascular endothelium Handb Exp Pharmacol 2006; 213-54., 45Knowles RG, Salter M, Brooks SL, Moncada S. Anti-inflammatory glucocorticoids inhibit the induction by endotoxin of nitric oxide synthase in the lung, liver and aorta of the rat Biochem Biophys Res Commun 1990; 172: 1042-8., 46Radomski MW, Palmer RM, Moncada S. Glucocorticoids inhibit the expression of an inducible, but not the constitutive, nitric oxide synthase in vascular endothelial cells Proc Natl Acad Sci USA 1990; 87: 10043-7.]. Atherosclerosis is associated with increases in iNOS expression, and this has been shown in humans to co-exist with a decrease in eNOS mRNA expression in the endothelial cells overlying advanced atheromatous plaques [47Fukuchi M, Giaid A. Endothelial expression of endothelial nitric oxide synthase and endothelin-1 in human coronary artery disease. Specific reference to underlying lesion Lab Invest 1999; 79: 659-70., 48Wilcox JN, Subramanian RR, Sundell CL, et al. Expression of multiple isoforms of nitric oxide synthase in normal and atherosclerotic vessels Arterioscler Thromb Vasc Biol 1997; 17: 2479-88.]. This pattern of increased iNOS accompanied by reduced eNOS has been reported in response to ischaemia [49Azadzoi KM, Master TA, Siroky MB. Effect of chronic ischemia on constitutive and inducible nitric oxide synthase expression in erectile tissue J Androl 2004; 25: 382-8. ], hypercholesterolaemia [50Kim JW, Kang KW, Oh GT, et al. Induction of hepatic inducible nitric oxide synthase by cholesterol in vivo and in vitro Exp Mol Med 2002; 34: 137-44.] and ROS in endothelial cells of rabbits [20Moncada S, Higgs EA. Nitric oxide and the vascular endothelium Handb Exp Pharmacol 2006; 213-54., 51Aliev G, Bodin P, Burnstock G. Free radical generators cause changes in endothelial and inducible nitric oxide synthases and endothelin-1 immunoreactivity in endothelial cells from hyperlipidemic rabbits Mol Genet Metab 1998; 63: 191-7.]. The transcription factor nuclear factor-kappa beta (NF-κB) is persistently activated in advanced atherosclerotic lesions and its activation is linked to a wide variety of processes, including inflammation, proliferation, differentiation, and apoptosis [52Bu DX, Erl W, de Martin R, Hansson GK, Yan ZQ. IKKbeta-dependent NF-kappaB pathway controls vascular inflammation and intimal hyperplasia FASEB J 2005; 19: 1293-5.-54Ginnan R, Guikema BJ, Halligan KE, Singer HA, Jourd'heuil D. Regulation of smooth muscle by inducible nitric oxide synthase and NADPH oxidase in vascular proliferative diseases Free Radic Biol Med 2008; 44: 1232-45.]. Cytokines such as interleukin-1β (IL-1β) activate NF-κB in many cell types, including VSMC, and activation of NF-κB is a requirement for iNOS expression [55Hecker M, Cattaruzza M, Wagner AH. Regulation of inducible nitric oxide synthase gene expression in vascular smooth muscle cells Gen Pharmacol 1999; 32: 9-16., 56Jiang B, Xu S, Hou X, et al. Temporal control of NF-kappaB activation by ERK differentially regulates interleukin-1beta-induced gene expression J Biol Chem 2004; 279: 1323-9.]. Activation of the redox-sensitive PI3K/Akt pathway in rats stimulates NF-κB by promoting the dissociation of phosphorylated inhibitor of NF-κB alpha (IκBα) [54Ginnan R, Guikema BJ, Halligan KE, Singer HA, Jourd'heuil D. Regulation of smooth muscle by inducible nitric oxide synthase and NADPH oxidase in vascular proliferative diseases Free Radic Biol Med 2008; 44: 1232-45., 57Beraud C, Henzel WJ, Baeuerle PA. Involvement of regulatory and catalytic subunits of phosphoinositide 3-kinase in NF-kappaB activation Proc Natl Acad Sci USA 1999; 96: 429-34., 58Bitar MS, Ayed AK, Abdel-Halim SM, Isenovic ER, Al-Mulla F. Inflammation and apoptosis in aortic tissues of aged type II diabetes: amelioration with alpha-lipoic acid through phosphatidylinositol 3-kinase/Akt- dependent mechanism Life Sci 2010; 86: 844-53.]. Increasing evidence indicates that the members of the MAPK family of protein kinases (ERK1/2, c-Jun kinase, p38) are important modulators of proinflammatory cytokine-dependent expression of iNOS in multiple cell types [11LaPointe MC, Isenovic E. Interleukin-1beta regulation of inducible nitric oxide synthase and cyclooxygenase-2 involves the p42/44 and p38 MAPK signaling pathways in cardiac myocytes Hypertension 1999; 33: 276-82., 54Ginnan R, Guikema BJ, Halligan KE, Singer HA, Jourd'heuil D. Regulation of smooth muscle by inducible nitric oxide synthase and NADPH oxidase in vascular proliferative diseases Free Radic Biol Med 2008; 44: 1232-45., 59Da Silva J, Pierrat B, Mary JL, Lesslauer W. Blockade of p38 mitogen-activated protein kinase pathway inhibits inducible nitric-oxide synthase expression in mouse astrocytes J Biol Chem 1997; 272: 28373-80., 60Hua LL, Zhao ML, Cosenza M, et al. Role of mitogen-activated protein kinases in inducible nitric oxide synthase and TNFalpha expression in human fetal astrocytes J Neuroimmunol 2002; 126: 180-9.]. Of particular importance in VSMC is the role and mechanisms that couple ERK1/2 to iNOS expression in response to proinflammatory cytokines. A few studies reported that stimulation with IL-1β results in a coordinate activation of ERK1/2 and NF-κB leading to increased expression of iNOS in rat VSMC [11LaPointe MC, Isenovic E. Interleukin-1beta regulation of inducible nitric oxide synthase and cyclooxygenase-2 involves the p42/44 and p38 MAPK signaling pathways in cardiac myocytes Hypertension 1999; 33: 276-82., 56Jiang B, Xu S, Hou X, et al. Temporal control of NF-kappaB activation by ERK differentially regulates interleukin-1beta-induced gene expression J Biol Chem 2004; 279: 1323-9.]. Furthermore, the study reported by Jiang et al., showed that IL-1β-dependent activation of NF-κB is dependent upon ERK1/2 through the ability of ERK1/2 to phosphorylate inhibitor of NF-κB beta (IκBβ) resulting in its degradation and subsequent translocation of the p65 and p50 subunits to the nucleus to initiate gene expression. Further studies showed that ERK1/2 selectively phosphorylates IκBβ rather than IκBα, resulting in sustained NF-κB activity, which is required for iNOS gene expression [56Jiang B, Xu S, Hou X, et al. Temporal control of NF-kappaB activation by ERK differentially regulates interleukin-1beta-induced gene expression J Biol Chem 2004; 279: 1323-9., 61Jiang B, Xu S, Brecher P, Cohen RA. Growth factors enhance interleukin-1 beta-induced persistent activation of nuclear factor-kappa B in rat vascular smooth muscle cells Arterioscler Thromb Vasc Biol 2002; 22: 1811-6., 62Xu S, Bayat H, Hou X, Jiang B. Ribosomal S6 kinase-1 modulates interleukin-1beta-induced persistent activation of NF-kappaB through phosphorylation of IkappaBbeta Am J Physiol Cell Physiol 2006; 291: C1336-45.]. The intermediate between ERK1/2 and IκBβ is ribosomal S6 kinase (RSK) 1 [54Ginnan R, Guikema BJ, Halligan KE, Singer HA, Jourd'heuil D. Regulation of smooth muscle by inducible nitric oxide synthase and NADPH oxidase in vascular proliferative diseases Free Radic Biol Med 2008; 44: 1232-45., 62Xu S, Bayat H, Hou X, Jiang B. Ribosomal S6 kinase-1 modulates interleukin-1beta-induced persistent activation of NF-kappaB through phosphorylation of IkappaBbeta Am J Physiol Cell Physiol 2006; 291: C1336-45.]. Our study indicated that both p38 MAPK and ERK1/2 are necessary for IL induction of iNOS and cyclooxygenase-2 (COX-2) and that they also seem to target COX-2 activity at post-translational level [11LaPointe MC, Isenovic E. Interleukin-1beta regulation of inducible nitric oxide synthase and cyclooxygenase-2 involves the p42/44 and p38 MAPK signaling pathways in cardiac myocytes Hypertension 1999; 33: 276-82.]. Thus IL activation of p38 and ERK1/2 results in multiple levels of regulation of the synthesis of the inflammatory mediators NO and prostaglandin E2 (PGE2) in rat cardiac myocytes [11LaPointe MC, Isenovic E. Interleukin-1beta regulation of inducible nitric oxide synthase and cyclooxygenase-2 involves the p42/44 and p38 MAPK signaling pathways in cardiac myocytes Hypertension 1999; 33: 276-82.]. In addition, our recent data from rat hearts show that iNOS activity/expression is altered by ghrelin [4Sudar E, Dobutovic B, Soskic S, et al. Regulation of inducible nitric oxide synthase activity/expression in rat hearts from ghrelin-treated rats J Physiol Biochem 2010.] which is a peptide hormone and it is an endogenous ligand for growth hormone (GH) secretagogue receptor (GHSR) [63Gnanapavan S, Kola B, Bustin SA, et al. The tissue distribution of the mRNA of ghrelin and subtypes of its receptor, GHS-R, in humans J Clin Endocrinol Metab 2002; 87: 2988.]. There is a suggestion that ghrelin treatment might activate insulin-like growth factor-1 (IGF-1) signaling pathway, which uses Akt/ERK1/2 signaling pathways and in that way participates in the regulation of iNOS activity/expression in the rat hearts [4Sudar E, Dobutovic B, Soskic S, et al. Regulation of inducible nitric oxide synthase activity/expression in rat hearts from ghrelin-treated rats J Physiol Biochem 2010., 64Kim J, Song G, Gao H, et al. Insulin-like growth factor II activates phosphatidylinositol 3-kinase-protooncogenic protein kinase 1 and mitogen-activated protein kinase cell Signaling pathways, and stimulates migration of ovine trophectoderm cells Endocrinology 2008; 149: 3085-94.]. Although iNOS was originally identified in macrophages, it is now known that it is widely expressed in many tissues, including insulin-sensitive organs such as skeletal muscle, adipose tissue, and liver in normal rodents and humans [10Fujimoto M, Shimizu N, Kunii K, et al. A role for iNOS in fasting hyperglycemia and impaired insulin signaling in the liver of obese diabetic mice Diabetes 2005; 54: 1340-8.]. The expression of iNOS is upregulated by most, if not all, inducers of IR, including proinflammatory cytokines, obesity [65Elizalde M, Ryden M, van Harmelen V, et al. Expression of nitric oxide synthases in subcutaneous adipose tissue of nonobese and obese humans J Lipid Res 2000; 41: 1244-51. ], free fatty acids (FFA) [66Shimabukuro M, Higa M, Zhou YT, et al. Lipoapoptosis in beta-cells of obese prediabetic fa/fa rats. Role of serine palmitoyltransferase overexpression J Biol Chem 1998; 273: 32487-90. ], hyperglycemia [67Ceriello A, Quagliaro L, D'Amico M, et al. Acute hyperglycemia induces nitrotyrosine formation and apoptosis in perfused heart from rat Diabetes 2002; 51: 1076-82., 68Sharma K, Danoff TM, DePiero A, Ziyadeh FN. Enhanced expression of inducible nitric oxide synthase in murine macrophages and glomerular mesangial cells by elevated glucose levels: possible mediation via protein kinase C Biochem Biophys Res Commun 1995; 207: 80-. ], endotoxins [69Sugita H, Kaneki M, Tokunaga E, et al. Inducible nitric oxide synthase plays a role in LPS-induced hyperglycemia and insulin resistance Am J Physiol Endocrinol Metab 2002; 282: E386-94., 70Xie QW, Kashiwabara Y, Nathan C. Role of transcription factor NF-kappa B/Rel in induction of nitric oxide synthase J Biol Chem 1994; 269: 4705-8.] and oxidative stress (OxS) [71Haidara MA, Yassin HZ, Zakula Z, Mikhailidis DP, Isenovic ER. Diabetes and antioxidants: myth or reality? Curr Vasc Pharmacol 2010; 8: 661-72.]. In fact, elevated expression of iNOS was observed in skeletal muscle of high-fat diet–fed mice [72Perreault M, Marette A. Targeted disruption of inducible nitric oxide synthase protects against obesity-linked insulin resistance in muscle Nat Med 2001; 7: 1138-43. ], in heart of Zucker diabetic fatty rats [73Zhou YT, Grayburn P, Karim A, et al. Lipotoxic heart disease in obese rats: implications for human obesity Proc Natl Acad Sci USA 2000; 97: 1784-9. ], and in skeletal muscle [74Torres SH, De Sanctis JB, de LBM, Hernandez N, Finol HJ. Inflammation and nitric oxide production in skeletal muscle of type 2 diabetic patients J Endocrinol 2004; 181: 419-27.] and platelets of patients with T2DM [75Tannous M, Rabini RA, Vignini A, et al. Evidence for iNOS-dependent peroxynitrite production in diabetic platelets Diabetologia 1999; 42: 539-44.]. Furthermore, iNOS induction resulted in attenuated insulin-stimulated glucose uptake in cultured skeletal muscle cells [76Bedard S, Marcotte B, Marette A. Cytokines modulate glucose transport in skeletal muscle by inducing the expression of inducible nitric oxide synthase Biochem J 1997; 325(Pt 2): 487-93.]. Thiazolidinediones (synthetic peroxisome proliferator-activated receptors (PPAR) gamma agonists), a class of insulin sensitizer, suppress iNOS expression in cultured cells and in vivo in rodents [77Dobashi K, Asayama K, Nakane T, et al. Troglitazone inhibits the expression of inducible nitric oxide synthase in adipocytes in vitro and in vivo study in 3T3-L1 cells and Otsuka Long-Evans Tokushima Fatty rats Life Sci 2000; 67: 2093-101., 78Maggi LB Jr, Sadeghi H, Weigand C, et al. Anti-inflammatory actions of 15-deoxy-delta 12,14-prostaglandin J2 and troglitazone: evidence for heat shock-dependent and -independent inhibition of cytokine-induced inducible nitric oxide synthase expression Diabetes 2000; 49: 346-55.]. Thus, inhibition of iNOS expression has been recently proposed to be a new mechanism of actions of insulin sensitizers [79Da Ros R, Assaloni R, Ceriello A. The preventive anti-oxidant action of thiazolidinediones: a new therapeutic prospect in diabetes and insulin resistance Diabet Med 2004; 21: 1249-52., 80Pilon G, Dallaire P, Marette A. Inhibition of inducible nitric-oxide synthase by activators of AMP-activated protein kinase: a new mechanism of action of insulin-sensitizing drugs J Biol Chem 2004; 279: 20767-74.]. Chronic low-grade inflammation has been proposed to be involved in the pathogenesis in obesity-related IR and T2DM [10Fujimoto M, Shimizu N, Kunii K, et al. A role for iNOS in fasting hyperglycemia and impaired insulin signaling in the liver of obese diabetic mice Diabetes 2005; 54: 1340-8.]. The activation of NF-κB inhibitor κB kinase β (IKKβ), a crucial signaling cascade for inflammatory response, has been highlighted as a mediator of IR [10Fujimoto M, Shimizu N, Kunii K, et al. A role for iNOS in fasting hyperglycemia and impaired insulin signaling in the liver of obese diabetic mice Diabetes 2005; 54: 1340-8., 58Bitar MS, Ayed AK, Abdel-Halim SM, Isenovic ER, Al-Mulla F. Inflammation and apoptosis in aortic tissues of aged type II diabetes: amelioration with alpha-lipoic acid through phosphatidylinositol 3-kinase/Akt- dependent mechanism Life Sci 2010; 86: 844-53.]. The pharmacological inhibition or gene disruption of IKKβ reversed obesity-related IR and fasting hyperglycemia in rodents and humans [81Yuan M, Konstantopoulos N, Lee J, et al. Reversal of obesity- and diet-induced insulin resistance with salicylates or targeted disruption of Ikkbeta Science 2001; 293: 1673-7.-83Kim JK, Kim YJ, Fillmore JJ, et al. Prevention of fat-induced insulin resistance by salicylate J Clin Invest 2001; 108: 437-6.]. It has been shown that iNOS deficiency prevents high-fat diet-induced IR in skeletal muscle of mice but not in the liver [10Fujimoto M, Shimizu N, Kunii K, et al. A role for iNOS in fasting hyperglycemia and impaired insulin signaling in the liver of obese diabetic mice Diabetes 2005; 54: 1340-8.]. A role for iNOS in fasting hyperglycemia and hepatic IR, however, remains to be investigated in obesity-related T2DM [10Fujimoto M, Shimizu N, Kunii K, et al. A role for iNOS in fasting hyperglycemia and impaired insulin signaling in the liver of obese diabetic mice Diabetes 2005; 54: 1340-8.]. The effects of a specific inhibitor for iNOS, dihydrochloride L-N6-(1-Iminoethyl)lysine (L-NIL), in obese diabetic (ob/ob) mice have been examined [10Fujimoto M, Shimizu N, Kunii K, et al. A role for iNOS in fasting hyperglycemia and impaired insulin signaling in the liver of obese diabetic mice Diabetes 2005; 54: 1340-8.]. Results from those study are that iNOS was significantly elevated in the liver as well as skeletal muscle and adipose tissue in ob/ob mice compared with wild type (wt) mice and that the iNOS inhibitor reversed fasting hyperglycemia and ameliorated whole-body IR in ob/ob mice [10Fujimoto M, Shimizu N, Kunii K, et al. A role for iNOS in fasting hyperglycemia and impaired insulin signaling in the liver of obese diabetic mice Diabetes 2005; 54: 1340-8.]. In the liver, insulin receptor substrate 2 (IRS-2) rather than insulin receptor substrate 1 (IRS-1) plays a prominent role in metabolic actions of insulin, including the inhibition of hepatic glucose output, whereas IRS-1 has a major role in mouse skeletal muscle [84Kido Y, Burks DJ, Withers D, et al. Tissue-specific insulin resistance in mice with mutations in the insulin receptor, IRS-1, and IRS-2 J Clin Invest 2000; 105: 199-205.-87Suzuki R, Tobe K, Aoyama M, et al. Both insulin signaling defects in the liver and obesity contribute to insulin resistance and cause diabetes in Irs2(-/-) mice J Biol Chem 2004; 279: 25039-49.]. Previous studies [88Shimomura I, Matsuda M, Hammer RE, et al. Decreased IRS-2 and increased SREBP-1c lead to mixed insulin resistance and sensitivity in livers of lipodystrophic and ob/ob mice Mol Cell 2000; 6: 77-86.-90Anai M, Funaki M, Ogihara T, et al. Altered expression levels and impaired steps in the pathway to phosphatidylinositol 3-kinase activation via insulin receptor substrates 1 and 2 in Zucker fatty rats Diabetes 1998; 47: 13-23.] showed a marked reduction in IRS-2 expression in the liver of ob/ob mice, whereas IRS-1 expression was unaltered or modestly decreased [10Fujimoto M, Shimizu N, Kunii K, et al. A role for iNOS in fasting hyperglycemia and impaired insulin signaling in the liver of obese diabetic mice Diabetes 2005; 54: 1340-8.]. These findings suggest that defective IRS-2–mediated insulin signaling is a major component of obesity-related hepatic IR [10Fujimoto M, Shimizu N, Kunii K, et al. A role for iNOS in fasting hyperglycemia and impaired insulin signaling in the liver of obese diabetic mice Diabetes 2005; 54: 1340-8.]. Inhibitor of iNOS improved the protein expression of both IRS-1 and IRS-2 in the liver of ob/ob mice [10Fujimoto M, Shimizu N, Kunii K, et al. A role for iNOS in fasting hyperglycemia and impaired insulin signaling in the liver of obese diabetic mice Diabetes 2005; 54: 1340-8.]. The mentioned study highlighted therapeutic potential of iNOS inhibitors to improve glycemic control in obesity-related T2DM [10Fujimoto M, Shimizu N, Kunii K, et al. A role for iNOS in fasting hyperglycemia and impaired insulin signaling in the liver of obese diabetic mice Diabetes 2005; 54: 1340-8.]. A recent study employed a mouse model of diet-induced obesity induced by high-fat feeding to assess the natural history of inflammation and impaired insulin signaling in 4 different insulin-sensitive tissues: vascular tissue (thoracic aorta), liver, adipose tissue and skeletal muscle [91Kim F, Pham M, Maloney E, et al. Vascular inflammation, insulin resistance, and reduced nitric oxide production precede the onset of peripheral insulin resistance Arterioscler Thromb Vasc Biol 2008; 28: 1982-8.]. Their findings are that vascular tissue is adversely impacted much earlier in the course of diet-induced obesity than are key insulin-sensitive tissues involved in glucose metabolism implies a heightened susceptibility of vascular elements to the deleterious effects of obesity [91Kim F, Pham M, Maloney E, et al. Vascular inflammation, insulin resistance, and reduced nitric oxide production precede the onset of peripheral insulin resistance Arterioscler Thromb Vasc Biol 2008; 28: 1982-8.]. In conditions of nutrient excess, such as obesity and T2DM, elevated FFA levels are implicated in the pathogenesis of both inflammation and IR in a variety of tissues, including mouse endothelial cells [92Rizzo NO, Maloney E, Pham M, et al. Reduced NO-cGMP signaling contributes to vascular inflammation and insulin resistance induced by high-fat feeding Arterioscler Thromb Vasc Biol 2010; 30: 758-65.-96Hotamisligil GS. Inflammatory pathways and insulin action Int J Obes Relat Metab Disord 2003; 27(Suppl 3): S53-5.]. Lipid-induced IR in muscle and liver is linked to overactivation of inflammatory signaling pathways known to impede insulin signal transduction [97Charbonneau A, Marette A. Inducible nitric oxide synthase induction underlies lipid-induced hepatic insulin resistance in mice: potential role of tyrosine nitration of insulin signaling proteins Diabetes 2010; 59: 861-71.-100Boden G. Fatty acid-induced inflammation and insulin resistance in skeletal muscle and liver Curr Diab Rep 2006; 6: 177-81.]. A few studies have shown that iNOS is overexpressed in metabolic tissues of both dietary and genetic models of obesity and plays a pivotal role in the pathogenesis of IR and glucose intolerance in mice [10Fujimoto M, Shimizu N, Kunii K, et al. A role for iNOS in fasting hyperglycemia and impaired insulin signaling in the liver of obese diabetic mice Diabetes 2005; 54: 1340-8., 72Perreault M, Marette A. Targeted disruption of inducible nitric oxide synthase protects against obesity-linked insulin resistance in muscle Nat Med 2001; 7: 1138-43., 99Carvalho-Filho MA, Ueno M, Hirabara SM, et al. S-nitrosation of the insulin receptor, insulin receptor substrate 1, and protein kinase B/Akt: a novel mechanism of insulin resistance Diabetes 2005; 54: 959-67., 101Noronha BT, Li JM, Wheatcroft SB, Shah AM, Kearney MT. Inducible nitric oxide synthase has divergent effects on vascular and metabolic function in obesity Diabetes 2005; 54: 1082-9.]. The recent study [97Charbonneau A, Marette A. Inducible nitric oxide synthase induction underlies lipid-induced hepatic insulin resistance in mice: potential role of tyrosine nitration of insulin signaling proteins Diabetes 2010; 59: 861-71.] showed using iNOS−/− mice that iNOS underlies lipid-induced insulin resistance in both liver and skeletal muscle. Disruption of iNOS restored insulin's ability to suppress glucose production and prevented lipid-induced elevations in basal glucose production that account for the initial hyperglycemia seen in wt mice [97Charbonneau A, Marette A. Inducible nitric oxide synthase induction underlies lipid-induced hepatic insulin resistance in mice: potential role of tyrosine nitration of insulin signaling proteins Diabetes 2010; 59: 861-71.]. It has been reported that iNOS induction in metabolic tissues and insulin target cells interferes with the insulin receptor beta (IRβ)/IRS/PI3K/Akt insulin signaling pathway [72Perreault M, Marette A. Targeted disruption of inducible nitric oxide synthase protects against obesity-linked insulin resistance in muscle Nat Med 2001; 7: 1138-43., 80Pilon G, Dallaire P, Marette A. Inhibition of inducible nitric-oxide synthase by activators of AMP-activated protein kinase: a new mechanism of action of insulin-sensitizing drugs J Biol Chem 2004; 279: 20767-74., 99Carvalho-Filho MA, Ueno M, Hirabara SM, et al. S-nitrosation of the insulin receptor, insulin receptor substrate 1, and protein kinase B/Akt: a novel mechanism of insulin resistance Diabetes 2005; 54: 959-67., 102Kapur S, Bedard S, Marcotte B, Cote CH, Marette A. Expression of nitric oxide synthase in skeletal muscle: a novel role for nitric oxide as a modulator of insulin action Diabetes 1997; 46: 1691-700.]. Beside that iNOS impairs insulin action on glucose production by altering insulin signaling to IRβ, IRS-1/-2 and Akt [97Charbonneau A, Marette A. Inducible nitric oxide synthase induction underlies lipid-induced hepatic insulin resistance in mice: potential role of tyrosine nitration of insulin signaling proteins Diabetes 2010; 59: 861-71.]. They found that iNOS−/− mice were protected from lipid-induced inhibitory phosphorylation of IRS-1 Ser307 and IRS-2 Ser133, two well-established target sites of Ser/Thr kinases known to be activated by lipids through activation of inflammatory pathways (e.g. IκB kinase, c-Jun NH2-terminal kinase (JNK), PKC) [103Yu C, Chen Y, Cline GW, et al. Mechanism by which fatty acids inhibit insulin activation of insulin receptor substrate-1 (IRS-1)-associated phosphatidylinositol 3-kinase activity in muscle J Biol Chem 2002; 277: 50230-6.-105Hotamisligil GS, Erbay E. Nutrient sensing and inflammation in metabolic diseases Nat Rev Immunol 2008; 8: 923-34.]. Lack of iNOS prevented the lipid-induced impairment in Ser/Tyr phosphorylation of Akt observed in wt mice, resulting in normalization of hepatic Akt kinase activity [97Charbonneau A, Marette A. Inducible nitric oxide synthase induction underlies lipid-induced hepatic insulin resistance in mice: potential role of tyrosine nitration of insulin signaling proteins Diabetes 2010; 59: 861-71.]. These results suggest that iNOS causes hepatic IR by impairing insulin signaling through the coordinated action of 3 independent mechanisms: by promoting 1) inhibitory serine phosphorylation of IRS proteins, 2) tyrosine nitration of IRβ and IRS-1 and IRS-2, as well as by, 3) directly impairing Akt activity through its tyrosine nitration [97Charbonneau A, Marette A. Inducible nitric oxide synthase induction underlies lipid-induced hepatic insulin resistance in mice: potential role of tyrosine nitration of insulin signaling proteins Diabetes 2010; 59: 861-71.]. These data provide genetic evidence that iNOS in mice is a key factor in the regulation of insulin sensitivity and hepatic glucose metabolism by FFA in vivo [97Charbonneau A, Marette A. Inducible nitric oxide synthase induction underlies lipid-induced hepatic insulin resistance in mice: potential role of tyrosine nitration of insulin signaling proteins Diabetes 2010; 59: 861-71.]. IR associated with T2DM contributes to impaired vasorelaxation in rats [12Lee JH, Palaia T, Ragolia L. Impaired insulin-mediated vasorelaxation in diabetic Goto-Kakizaki rats is caused by impaired Akt phosphorylation Am J Physiol Cell Physiol 2009; 296: C327-38.]. The correlations between IR, defective Akt activation, insulin-resistant iNOS expression, and impaired insulin-induced vasodilation have been explored [12Lee JH, Palaia T, Ragolia L. Impaired insulin-mediated vasorelaxation in diabetic Goto-Kakizaki rats is caused by impaired Akt phosphorylation Am J Physiol Cell Physiol 2009; 296: C327-38.]. For the first time, Lee et al. have demonstrated that the presence of Akt-independent iNOS expression in the Goto-Kakizaki (GK) nonobese insulin-resistant diabetic rat model and that the defective insulin-induced vasodilation observed in the diabetic vasculature can be restored by the overexpression of active Akt, which advocates a novel therapeutic strategy for treating T2DM [12Lee JH, Palaia T, Ragolia L. Impaired insulin-mediated vasorelaxation in diabetic Goto-Kakizaki rats is caused by impaired Akt phosphorylation Am J Physiol Cell Physiol 2009; 296: C327-38.]. Numerous studies have led to the identification of multiple hyperglycemia-induced alterations in metabolism and signaling that have been linked to activation of protein kinase C (PKC) and an eventual increase in oxidative/ nitrosative stress in T2DM [13Nagareddy PR, Soliman H, Lin G, et al. Selective inhibition of protein kinase C beta(2) attenuates inducible nitric oxide synthase-mediated cardiovascular abnormalities in streptozotocin-induced diabetic rats Diabetes 2009; 58: 2355-64., 14Koya D, King GL. Protein kinase C activation and the development of diabetic complications Diabetes 1998; 47: 859-66., 106Pacher P, Obrosova IG, Mabley JG, Szabo C. Role of nitrosative stress and peroxynitrite in the pathogenesis of diabetic complications. Emerging new therapeutical strategies Curr Med Chem 2005; 12: 267-75., 107Nishikawa T, Edelstein D, Du XL, et al. Normalizing mitochondrial superoxide production blocks three pathways of hyperglycaemic damage Nature 2000; 404: 787-90.]. It remains unclear whether the increase in nitrosative stress, which is implicated in the etiology of T2DM secondary complications [106Pacher P, Obrosova IG, Mabley JG, Szabo C. Role of nitrosative stress and peroxynitrite in the pathogenesis of diabetic complications. Emerging new therapeutical strategies Curr Med Chem 2005; 12: 267-75. ], is an independent manifestation of hyperglycemic injury or is linked to the activation of PKC [13Nagareddy PR, Soliman H, Lin G, et al. Selective inhibition of protein kinase C beta(2) attenuates inducible nitric oxide synthase-mediated cardiovascular abnormalities in streptozotocin-induced diabetic rats Diabetes 2009; 58: 2355-64.]. In a recent study, the hypothesis that high glucose-induced activation of PKCβ2 increases iNOS-mediated nitrosative stress leading to cardiovascular abnormalities has been tested on rats [13Nagareddy PR, Soliman H, Lin G, et al. Selective inhibition of protein kinase C beta(2) attenuates inducible nitric oxide synthase-mediated cardiovascular abnormalities in streptozotocin-induced diabetic rats Diabetes 2009; 58: 2355-64.]. The results of that study demonstrate that PKCβ2 is an obligatory mediator of nitrosative stress and that LY333531 (selective PKCβ inhibitor) significantly reduced the formation of iNOS and improved cardiovascular abnormalities in streptozotocin (STZ)-diabetic rats [13Nagareddy PR, Soliman H, Lin G, et al. Selective inhibition of protein kinase C beta(2) attenuates inducible nitric oxide synthase-mediated cardiovascular abnormalities in streptozotocin-induced diabetic rats Diabetes 2009; 58: 2355-64.]. Moreover, hyperglycemia-induced activation of PKCβ2 is antecedent to increases in superoxide, ERK1/2, NF-κB, and iNOS expression in cardiovascular tissues, whereas inhibition of this pathway suppresses key signaling events that lead to increased nitrosative stress [13Nagareddy PR, Soliman H, Lin G, et al. Selective inhibition of protein kinase C beta(2) attenuates inducible nitric oxide synthase-mediated cardiovascular abnormalities in streptozotocin-induced diabetic rats Diabetes 2009; 58: 2355-64.]. This data suggest that inhibition of PKCβ2 may be a useful approach for correcting abnormal hemodynamics in T2DM by preventing iNOS-mediated nitrosative stress [13Nagareddy PR, Soliman H, Lin G, et al. Selective inhibition of protein kinase C beta(2) attenuates inducible nitric oxide synthase-mediated cardiovascular abnormalities in streptozotocin-induced diabetic rats Diabetes 2009; 58: 2355-64.]. Hyperglycemia resulting from diabetes has an adverse impact on embryonic development through induction of apoptosis in mice embryonic tissues [108Yang P, Cao Y, Li H. Hyperglycemia induces inducible nitric oxide synthase gene expression and consequent nitrosative stress via c-Jun N-terminal kinase activation Am J Obstet Gynecol 2010; 203: 185 e5-1.]. The mechanisms underlying hyperglycemia-induced apoptosis are not completely understood [108Yang P, Cao Y, Li H. Hyperglycemia induces inducible nitric oxide synthase gene expression and consequent nitrosative stress via c-Jun N-terminal kinase activation Am J Obstet Gynecol 2010; 203: 185 e5-1.]. Recently, it have been found that the proapoptotic JNK1/2 is activated in embryonic tissues exposed to maternal diabetes in vivo and hyperglycemic embryo cultures of both Sprague Dawley rats and C57BL/B6J mice in vitro [108Yang P, Cao Y, Li H. Hyperglycemia induces inducible nitric oxide synthase gene expression and consequent nitrosative stress via c-Jun N-terminal kinase activation Am J Obstet Gynecol 2010; 203: 185 e5-1.-111Yang P, Zhao Z, Reece EA. Involvement of c-Jun N-terminal kinases activation in diabetic embryopathy Biochem Biophys Res Commun 2007; 357: 749-54.]. JNK1/2 agonist mimics the teratogenic effect of hyperglycemia to induce embryonic embryonic malformations, whereas targeted deletion of the jnk2 gene significantly ameliorates diabetes-induced malformations [111Yang P, Zhao Z, Reece EA. Involvement of c-Jun N-terminal kinases activation in diabetic embryopathy Biochem Biophys Res Commun 2007; 357: 749-54.]. Thus, JNK1/2 plays a causative role in the induction of diabetic embryopathy. Increased levels of NO are associated with the adverse impact of maternal diabetes on murine embryonic development [112Nath AK, Enciso J, Kuniyasu M, et al. Nitric oxide modulates murine yolk sac vasculogenesis and rescues glucose induced vasculopathy Development 2004; 131: 2485-96.]. NO has been shown to be involved in cell differentiation, proliferation, and apoptosis [113Forrester K, Ambs S, Lupold SE, et al. Nitric oxide-induced p53 accumulation and regulation of inducible nitric oxide synthase expression by wild-type p53 Proc Natl Acad Sci USA 1996; 93: 2442-7.-115Bennett M, Macdonald K, Chan SW, et al. Cell surface trafficking of Fas: a rapid mechanism of p53-mediated apoptosis Science 1998; 282: 290-3.]. Although NO is of physiological importance, it can also be cytotoxic. iNOS and eNOS are expressed during murine early embryonic development [112Nath AK, Enciso J, Kuniyasu M, et al. Nitric oxide modulates murine yolk sac vasculogenesis and rescues glucose induced vasculopathy Development 2004; 131: 2485-96.]. Hyperglycemia increases NO production in embryonic tissues [112Nath AK, Enciso J, Kuniyasu M, et al. Nitric oxide modulates murine yolk sac vasculogenesis and rescues glucose induced vasculopathy Development 2004; 131: 2485-96.] inducing the production of reactive nitrogen species that leads to nitrosative stress. Yang et al., 2010 hypothesized that hyperglycemia induced JNK1/2 activation mediates iNOS induction [108Yang P, Cao Y, Li H. Hyperglycemia induces inducible nitric oxide synthase gene expression and consequent nitrosative stress via c-Jun N-terminal kinase activation Am J Obstet Gynecol 2010; 203: 185 e5-1.]. To test this hypothesis, they investigated the relationship between JNK1/2 activation and iNOS gene expression in diabetic embryopathy [108Yang P, Cao Y, Li H. Hyperglycemia induces inducible nitric oxide synthase gene expression and consequent nitrosative stress via c-Jun N-terminal kinase activation Am J Obstet Gynecol 2010; 203: 185 e5-1.]. By using pharmacological inhibitors of JNK1/2 activation (SP600125) in vitro and target deletion of jnk2 in mice, they have demonstrated that JNK1/2 activation is responsible for hyperglycemia-induced iNOS gene expression and consequent nitrosative stress [108Yang P, Cao Y, Li H. Hyperglycemia induces inducible nitric oxide synthase gene expression and consequent nitrosative stress via c-Jun N-terminal kinase activation Am J Obstet Gynecol 2010; 203: 185 e5-1.]. Cardiovascular mortality is increased in patients with Type 1 diabetes mellitus (T1DM) [116Zakula Z, Koricanac G, Putnikovic B, Markovic L, Isenovic ER. Regulation of the inducible nitric oxide synthase and sodium pump in type 1 diabetes Med Hypotheses 2007; 69: 302-6., 117Grundy SM, Benjamin IJ, Burke GL, et al. Diabetes and cardiovascular disease: a statement for healthcare professionals from the American Heart Association Circulation 1999; 100: 1134-46. ], and the incidence of HF, especially, following myocardial infarction, is much greater among diabetic than nondiabetic patients [117Grundy SM, Benjamin IJ, Burke GL, et al. Diabetes and cardiovascular disease: a statement for healthcare professionals from the American Heart Association Circulation 1999; 100: 1134-46.]. In experimental diabetes, the mechanical properties of the myocardium and cardiomyocytes in vitro are significantly altered, characterized by prolongation of contraction and relaxation as well as considerable slowing down of relaxation velocity in mice [118Litwin SE, Raya TE, Anderson PG, Daugherty S, Goldman S. Abnormal cardiac function in the streptozotocin-diabetic rat. Changes in active and passive properties of the left ventricle J Clin Invest 1990; 86: 481-8.]. In rats with STZ-induced diabetes, abnormal cardiac function is seen as early as 7 days after induction of diabetes [116Zakula Z, Koricanac G, Putnikovic B, Markovic L, Isenovic ER. Regulation of the inducible nitric oxide synthase and sodium pump in type 1 diabetes Med Hypotheses 2007; 69: 302-6., 118Litwin SE, Raya TE, Anderson PG, Daugherty S, Goldman S. Abnormal cardiac function in the streptozotocin-diabetic rat. Changes in active and passive properties of the left ventricle J Clin Invest 1990; 86: 481-8., 119Rubler S, Sajadi RM, Araoye MA, Holford FD. Noninvasive estimation of myocardial performance in patients with diabetes. Effect of alcohol administration Diabetes 1978; 27: 127-34.]. It has been shown that cardiomyocytes from diabetic rats [120Ren J, Walsh MF, Hamaty M, Sowers JR, Brown RA. Altered inotropic response to IGF-I in diabetic rat heart: influence of intracellular Ca2+ and NO Am J Physiol 1998; 275: H823-30. ], manifested reduced contractile responses to IGF-1 associated with altered NO metabolism [121Ren J, Sowers JR, Walsh MF, Brown RA. Reduced contractile response to insulin and IGF-I in ventricular myocytes from genetically obese Zucker rats Am J Physiol Heart Circ Physiol 2000; 279: H1708-14.]. Several studies suggest that NO production is reduced in diabetes such as in obese Zucker rats [122Walsh MF, Ali SS, Sowers JR. Vascular insulin/insulin-like growth factor-1 resistance in female obese Zucker rats Metabolism 2001; 50: 607-12., 123Tirupattur PR, Ram JL, Standley PR, Sowers JR. Regulation of Na+,K(+)-ATPase gene expression by insulin in vascular smooth muscle cells Am J Hypertens 1993; 6: 626-9.]. Abnormal NOS expression and NO production in cardiovascular tissues may have various effects [116Zakula Z, Koricanac G, Putnikovic B, Markovic L, Isenovic ER. Regulation of the inducible nitric oxide synthase and sodium pump in type 1 diabetes Med Hypotheses 2007; 69: 302-6.]. Therefore, investigation of NOS activity in cardiovascular tissues in the diabetic state may be of particular importance in understanding the etiology of cardiovascular dysfunction associated with chronic diabetes mellitus [116Zakula Z, Koricanac G, Putnikovic B, Markovic L, Isenovic ER. Regulation of the inducible nitric oxide synthase and sodium pump in type 1 diabetes Med Hypotheses 2007; 69: 302-6.]. Mammalian cells synthesize NO through the 5-electron oxidation of 1 of the 2-guanidinonitrogens of L-Arg [54Ginnan R, Guikema BJ, Halligan KE, Singer HA, Jourd'heuil D. Regulation of smooth muscle by inducible nitric oxide synthase and NADPH oxidase in vascular proliferative diseases Free Radic Biol Med 2008; 44: 1232-45., 124Moncada S, Palmer RM, Higgs EA. Nitric oxide: physiology, pathophysiology, and pharmacology Pharmacol Rev 1991; 43: 109-42.]. All 3 isoforms are expressed in the vasculature. The predominant isoform of NOS detectable in VSMC in response to inflammatory cytokines is iNOS [26Isenovic E, LaPointe MC. Role of Ca(2+)-independent phospholipase A(2) in the regulation of inducible nitric oxide synthase in cardiac myocytes Hypertension 2000; 35: 249-54., 125Yan Z, Hansson GK. Overexpression of inducible nitric oxide synthase by neointimal smooth muscle cells Circ Res 1998; 82: 21-9.-127Geller DA, Lowenstein CJ, Shapiro RA, et al. Molecular cloning and expression of inducible nitric oxide synthase from human hepatocytes Proc Natl Acad Sci USA 1993; 90: 3491-5.] and nNOS upregulation is induced in VSMC by shear stress, hypoxia, and growth factors [128Ward ME, Toporsian M, Scott JA, et al. Hypoxia induces a functionally significant and translationally efficient neuronal NO synthase mRNA variant J Clin Invest 2005; 115: 3128-9.-130Nakata S, Tsutsui M, Shimokawa H, et al. Vascular neuronal NO synthase is selectively upregulated by platelet-derived growth factor: involvement of the MEK/ERK pathway Arterioscler Thromb Vasc Biol 2005; 25: 2502-8.]. In the healthy vessel, the endothelium serves as the main source of NO production through eNOS activity to maintain vascular tone and regulate platelet aggregation and leukocyte adhesion [124Moncada S, Palmer RM, Higgs EA. Nitric oxide: physiology, pathophysiology, and pharmacology Pharmacol Rev 1991; 43: 109-42., 131Radomski MW, Palmer RM, Moncada S. An L-arginine/nitric oxide pathway present in human platelets regulates aggregation Proc Natl Acad Sci USA 1990; 87: 5193-7.-133Isenovic E, Muniyappa R, Milivojevic N, Rao Y, Sowers JR. Role of PI3-kinase in isoproterenol and IGF-1 induced ecNOS activity Biochem Biophys Res Commun 2001; 285: 954-8.]. Disruption of the endothelial layer and initial loss of eNOS is a hallmark of the development of atherosclerosis as well as restenosis [54Ginnan R, Guikema BJ, Halligan KE, Singer HA, Jourd'heuil D. Regulation of smooth muscle by inducible nitric oxide synthase and NADPH oxidase in vascular proliferative diseases Free Radic Biol Med 2008; 44: 1232-45.]. Traditionally, the upregulation of iNOS is perceived to compensate for the loss of a functional endothelium and eNOS during injury and atherosclerosis [134Hansson GK, Geng YJ, Holm J, et al. Arterial smooth muscle cells express nitric oxide synthase in response to endothelial injury J Exp Med 1994; 180: 733-8. ], although the presence of excess NO and ROS coincidentally may lead to additional tissue damage and dysfunction [71Haidara MA, Yassin HZ, Zakula Z, Mikhailidis DP, Isenovic ER. Diabetes and antioxidants: myth or reality? Curr Vasc Pharmacol 2010; 8: 661-72., 126Kibbe M, Billiar T, Tzeng E. Inducible nitric oxide synthase and vascular injury Cardiovasc Res 1999; 43: 650-7.]. More recent studies support a dual role for iNOS in the development of the atherosclerotic plaque. In the ApoE−/− mouse model, iNOS is expressed in both macrophages and smooth muscle cells of the developing plaque, although smooth muscle cells are not present in early lesions [135Miyoshi T, Li Y, Shih DM, et al. Deficiency of inducible NO synthase reduces advanced but not early atherosclerosis in apolipoprotein E-deficient mice Life Sci 2006; 79: 525-31.]. Upregulation of iNOS at the mRNA level is observed in the rat carotid artery by 24 h postinjury and it is sustained throughout 14 days [54Ginnan R, Guikema BJ, Halligan KE, Singer HA, Jourd'heuil D. Regulation of smooth muscle by inducible nitric oxide synthase and NADPH oxidase in vascular proliferative diseases Free Radic Biol Med 2008; 44: 1232-45., 134Hansson GK, Geng YJ, Holm J, et al. Arterial smooth muscle cells express nitric oxide synthase in response to endothelial injury J Exp Med 1994; 180: 733-8.]. Whereas iNOS is not detectable in normal cardiomyocytes, iNOS expression is increased in HF in rabbits [18Heusch P, Aker S, Boengler K, et al. Increased inducible nitric oxide synthase and arginase II expression in heart failure: no net nitrite/nitrate production and protein S-nitrosylation Am J Physiol Heart Circ Physiol 2010; 299: H446-53., 136Aker S, Snabaitis AK, Konietzka I, et al. Inhibition of the Na+/H+ exchanger attenuates the deterioration of ventricular function during pacing-induced heart failure in rabbits Cardiovasc Res 2004; 63: 273-82.] and patients [137Vejlstrup NG, Bouloumie A, Boesgaard S, et al. Inducible nitric oxide synthase (iNOS) in the human heart: expression and localization in congestive heart failure J Mol Cell Cardiol 1998; 30: 1215-23.-139Fukuchi M, Hussain SN, Giaid A. Heterogeneous expression and activity of endothelial and inducible nitric oxide synthases in end-stage human heart failure: their relation to lesion site and beta-adrenergic receptor therapy Circulation 1998; 98: 132-9.]. Increased iNOS expression results from increased cardiomyocyte stretch secondary to protein kinase activation and through positive feedback, from increased NO concentration [140Liao X, Liu JM, Du L, et al. Nitric oxide signaling in stretch-induced apoptosis of neonatal rat cardiomyocytes FASEB J 2006; 20: 1883-5.]. NO mediates its effects either through cGMP and protein kinase G [141Rastaldo R, Pagliaro P, Cappello S, et al. Nitric oxide and cardiac function Life Sci 2007; 81: 779-93., 142Schulz R, Rassaf T, Massion PB, Kelm M, Balligand JL. Recent advances in the understanding of the role of nitric oxide in cardiovascular homeostasis Pharmacol Ther 2005; 108: 225-56.] or more directly through protein nitrosylation [143Otani H. The role of nitric oxide in myocardial repair and remodeling Antioxid Redox Signal 2009; 11: 1913-28.]. In the rat and mouse heart, NO reduces β-adrenergic responses [144Ziolo MT, Katoh H, Bers DM. Expression of inducible nitric oxide synthase depresses beta-adrenergic-stimulated calcium release from the sarcoplasmic reticulum in intact ventricular myocytes Circulation 2001; 104: 2961-6.-146Funakoshi H, Kubota T, Kawamura N, et al. Disruption of inducible nitric oxide synthase improves beta-adrenergic inotropic responsiveness but not the survival of mice with cytokine-induced cardiomyopathy Circ Res 2002; 90: 959-65. ], although that is controversial [147Post H, Schulz R, Gres P, Heusch G. No involvement of nitric oxide in the limitation of beta-adrenergic inotropic responsiveness during ischemia Am J Physiol Heart Circ Physiol 2001; 281: H2392-7. ], and the L-type Ca2+ channel current [148Gallo MP, Malan D, Bedendi I, et al. Regulation of cardiac calcium current by NO and cGMP-modulating agents Pflugers Arch 2001; 441: 621-8. ], inhibits the mitochondrial respiratory chain [149Kelm M, Schafer S, Dahmann R, et al. Nitric oxide induced contractile dysfunction is related to a reduction in myocardial energy generation Cardiovasc Res 1997; 36: 185-94.-152Chen Y, Traverse JH, Du R, Hou M, Bache RJ. Nitric oxide modulates myocardial oxygen consumption in the failing heart Circulation 2002; 106: 273-9.] and increases the mitochondrial permeability transition pore opening probability [153Razavi HM, Hamilton JA, Feng Q. Modulation of apoptosis by nitric oxide: implications in myocardial ischemia and heart failure Pharmacol Ther 2005; 106: 147-62. ], thereby increasing cardiomyocyte apoptosis [154Andreka P, Tran T, Webster KA, Bishopric NH. Nitric oxide and promotion of cardiac myocyte apoptosis Mol Cell Biochem 2004; 263: 35-53.]. However, the contribution of increased iNOS expression to HF development has been questioned in transgenic mice with chronic cardiac-specific upregulation of iNOS [155Heger J, Godecke A, Flogel U, et al. Cardiac-specific over-expression of inducible nitric oxide synthase does not result in severe cardiac dysfunction Circ Res 2002; 90: 93-., 156Mungrue IN, Gros R, You X, et al. Cardiomyocyte overexpression of iNOS in mice results in peroxynitrite generation, heart block, and sudden death J Clin Invest 2002; 109: 735-43.] and only in the presence of a simultaneous knockout of myoglobin did iNOS overexpression result in HF [157Wunderlich C, Flogel U, Godecke A, Heger J, Schrader J. Acute inhibition of myoglobin impairs contractility and energy state of iNOS-overexpressing hearts Circ Res 2003; 92: 1352-8.]. In murine macrophages, increased iNOS expression is associated with a concomitant increase in arginase expression [158Wang WW, Jenkinson CP, Griscavage JM, et al. Co-induction of arginase and nitric oxide synthase in murine macrophages activated by lipopolysaccharide Biochem Biophys Res Commun 1995; 210: 1009-6.]. Recent data from wound healing studies in rats suggest that there might be a self-limiting negative feedback cycle, in that increased iNOS-derived NO increases arginase II activity, which subsequently reduces L-Arg concentration and thereby limits NO production [159Zunic G, Supic G, Magic Z, Draskovic B, Vasiljevska M. Increased nitric oxide formation followed by increased arginase activity induces relative lack of arginine at the wound site and alters whole nutritional status in rats almost within the early healing period Nitric Oxide 2009; 20: 253-8.]. Limitation of substrate availability also leads to uncoupling of iNOS with ultimate ROS formation [143Otani H. The role of nitric oxide in myocardial repair and remodeling Antioxid Redox Signal 2009; 11: 1913-28., 160Wells SM, Holian A. Asymmetric dimethylarginine induces oxidative and nitrosative stress in murine lung epithelial cells Am J Respir Cell Mol Biol 2007; 36: 520-8.]. Increased ROS formation induces myofibrillar oxidation in rat hearts and subsequently contributes to the development of contractile dysfunction [161Canton M, Neverova I, Menabo R, Van Eyk J, Di Lisa F. Evidence of myofibrillar protein oxidation induced by postischemic reperfusion in isolated rat hearts Am J Physiol Heart Circ Physiol 2004; 286: H870-7., 162Canton M, Skyschally A, Menabo R, et al. Oxidative modification of tropomyosin and myocardial dysfunction following coronary microembolization Eur Heart J 2006; 27: 875-1.]. An increase in iNOS expression does not necessarily imply increased NO-induced myocardial damage [18Heusch P, Aker S, Boengler K, et al. Increased inducible nitric oxide synthase and arginase II expression in heart failure: no net nitrite/nitrate production and protein S-nitrosylation Am J Physiol Heart Circ Physiol 2010; 299: H446-53.]. Nevertheless, uncoupled iNOS secondary to substrate limitation might contribute to contractile dysfunction through increased oxidative stress (OxS) [18Heusch P, Aker S, Boengler K, et al. Increased inducible nitric oxide synthase and arginase II expression in heart failure: no net nitrite/nitrate production and protein S-nitrosylation Am J Physiol Heart Circ Physiol 2010; 299: H446-53.]. Increased arginase expression might limit NOS substrate availability and contribute to the persistence of hypertension [163White AR, Ryoo S, Li D, et al. Knockdown of arginase I restores NO signaling in the vasculature of old rats Hypertension 2006; 47: 245-51., 164Zhang C, Hein TW, Wang W, et al. Upregulation of vascular arginase in hypertension decreases nitric oxide-mediated dilation of coronary arterioles Hypertension 2004; 44: 935-43.]. Whether increased arginase expression in mice also contributes to the development/ progression of HF by promoting iNOS uncoupling warrants further investigation [18Heusch P, Aker S, Boengler K, et al. Increased inducible nitric oxide synthase and arginase II expression in heart failure: no net nitrite/nitrate production and protein S-nitrosylation Am J Physiol Heart Circ Physiol 2010; 299: H446-53.]. Certainly, blockade of enhanced arginase expression/activity might be a promising new therapeutic approach since iNOS, as long as it is functionally coupled, does not contribute to HF development [18Heusch P, Aker S, Boengler K, et al. Increased inducible nitric oxide synthase and arginase II expression in heart failure: no net nitrite/nitrate production and protein S-nitrosylation Am J Physiol Heart Circ Physiol 2010; 299: H446-53., 155Heger J, Godecke A, Flogel U, et al. Cardiac-specific over-expression of inducible nitric oxide synthase does not result in severe cardiac dysfunction Circ Res 2002; 90: 93-.]. The role of NO in the regulation/modulation of cardiac performance has been extensively studied since the early 1990’s [19Dias FA, Urboniene D, Yuzhakova MA, et al. Ablation of iNOS delays cardiac contractile dysfunction in chronic hypertension Front Biosci (Elite Ed) 2010; 2: 312-24., 165Kelly RA, Balligand JL, Smith TW. Nitric oxide and cardiac function Circ Res 1996; 79: 363-80.]. The expression of iNOS in cardiomyocytes only increases following induction by events such as hypertrophy or HF [19Dias FA, Urboniene D, Yuzhakova MA, et al. Ablation of iNOS delays cardiac contractile dysfunction in chronic hypertension Front Biosci (Elite Ed) 2010; 2: 312-24.]. In such cases, iNOS appears to contribute to myocardial dysfunction and alters the myocardial response to β-adrenergic stimulation [19Dias FA, Urboniene D, Yuzhakova MA, et al. Ablation of iNOS delays cardiac contractile dysfunction in chronic hypertension Front Biosci (Elite Ed) 2010; 2: 312-24.,145Gealekman O, Abassi Z, Rubinstein I, Winaver J, Binah O. Role of myocardial inducible nitric oxide synthase in contractile dysfunction and beta-adrenergic hyporesponsiveness in rats with experimental volume-overload heart failure Circulation 2002; 105: 236-43., 166Ziolo MT, Maier LS, Piacentino V 3rd, et al. Myocyte nitric oxide synthase 2 contributes to blunted beta-adrenergic response in failing human hearts by decreasing Ca2+ transients Circulation 2004; 109: 1886-91., 167Yamamoto S, Tsutsui H, Tagawa H, et al. Role of myocyte nitric oxide in beta-adrenergic hyporesponsiveness in heart failure Circulation 1997; 95: 1111-4.]. However, since NO can be produced by 3 different isoforms of NOS within the myocardium, it has been difficult to separate their specific effects in physiological and pathological conditions without genetic manipulations [19Dias FA, Urboniene D, Yuzhakova MA, et al. Ablation of iNOS delays cardiac contractile dysfunction in chronic hypertension Front Biosci (Elite Ed) 2010; 2: 312-24.]. Recently however, different mouse models have been generated in which one or more isoforms of NOS have been knocked out or over-expressed allowing for the specific, independent effects of the NOS isoforms to be studied on cardiac function [168Mungrue IN, Husain M, Stewart DJ. The role of NOS in heart failure: lessons from murine genetic models Heart Fail Rev 2002; 7: 407-22.]. Recent data demonstrate for the first time that the absence of iNOS during the development of hypertrophy induced by moderate aortic constriction, mimicking long-term hypertension in humans, delays both the increase in hypertrophic gene marker expression and contractile dysfunction associated with hypertrophy development [19Dias FA, Urboniene D, Yuzhakova MA, et al. Ablation of iNOS delays cardiac contractile dysfunction in chronic hypertension Front Biosci (Elite Ed) 2010; 2: 312-24.]. Moreover, after long-term aortic banding, iNOS knock-out mice exhibited increased basal cardiac function as well as an improved response to β-adrenergic stimulation compared to wt mice [19Dias FA, Urboniene D, Yuzhakova MA, et al. Ablation of iNOS delays cardiac contractile dysfunction in chronic hypertension Front Biosci (Elite Ed) 2010; 2: 312-24.]. These findings support a direct role for the expression of iNOS in the development of the cardiac dysfunction but not the hypertrophy that results from pressure overload [19Dias FA, Urboniene D, Yuzhakova MA, et al. Ablation of iNOS delays cardiac contractile dysfunction in chronic hypertension Front Biosci (Elite Ed) 2010; 2: 312-24.]. Myocardial hypertrophy and HF are associated with increased O2− production [3Zhang P, Xu X, Hu X, et al. Inducible nitric oxide synthase deficiency protects the heart from systolic overload-induced ventricular hypertrophy and congestive heart failure Circ Res 2007; 100: 1089-98., 169Ide T, Tsutsui H, Kinugawa S, et al. Direct evidence for increased hydroxyl radicals originating from superoxide in the failing myocardium Circ Res 2000; 86: 152-7.] and accumulation of oxidized lipid and protein products such as nitrotyrosine (a marker for peroxynitrite) and 4-hydroxy-2-nonenal (4-HNE, a marker of lipid peroxidation) [3Zhang P, Xu X, Hu X, et al. Inducible nitric oxide synthase deficiency protects the heart from systolic overload-induced ventricular hypertrophy and congestive heart failure Circ Res 2007; 100: 1089-98., 170Liu YH, Carretero OA, Cingolani OH, et al. Role of inducible nitric oxide synthase in cardiac function and remodeling in mice with heart failure due to myocardial infarction Am J Physiol Heart Circ Physiol 2005; 289: H2616-23.]. Oxygen free radicals are linked to fibrosis and matrix turnover involving the activation of matrix metalloproteinases (MMPs) [171Siwik DA, Pagano PJ, Colucci WS. Oxidative stress regulates collagen synthesis and matrix metalloproteinase activity in cardiac fibroblasts Am J Physiol Cell Physiol 2001; 280: C53-60.]. Overexpressing glutathione peroxidase in mice [172Shiomi T, Tsutsui H, Matsusaka H, et al. Overexpression of glutathione peroxidase prevents left ventricular remodeling and failure after myocardial infarction in mice Circulation 2004; 109: 544-9. ], or administering BH4 to decrease myocardial O2− production [173Takimoto E, Champion HC, Li M, et al. Oxidant stress from nitric oxide synthase-3 uncoupling stimulates cardiac pathologic remodeling from chronic pressure load J Clin Invest 2005; 115: 1221-31.] decrease myocardial MMP abundance [3Zhang P, Xu X, Hu X, et al. Inducible nitric oxide synthase deficiency protects the heart from systolic overload-induced ventricular hypertrophy and congestive heart failure Circ Res 2007; 100: 1089-98.]. A study examined the role of iNOS in the ventricular hypertrophy and congestive HF that develops in response to sustained pressure overload produced by transverse aortic constriction (TAC) in mice with or without the iNOS gene [3Zhang P, Xu X, Hu X, et al. Inducible nitric oxide synthase deficiency protects the heart from systolic overload-induced ventricular hypertrophy and congestive heart failure Circ Res 2007; 100: 1089-98.]. Consistent with these findings, TAC resulted in marked increases of myocardial atrial natriuretic peptide (ANP), 4-HNE and nitrotyrosine in wt mice but not in iNOS deficient mice [3Zhang P, Xu X, Hu X, et al. Inducible nitric oxide synthase deficiency protects the heart from systolic overload-induced ventricular hypertrophy and congestive heart failure Circ Res 2007; 100: 1089-98.]. In response to TAC, myocardial eNOS and iNOS was expressed as both monomer and dimer in wt mice, and this was associated with increased ROS production, suggesting that iNOS monomer was a source for the increased OxS [3Zhang P, Xu X, Hu X, et al. Inducible nitric oxide synthase deficiency protects the heart from systolic overload-induced ventricular hypertrophy and congestive heart failure Circ Res 2007; 100: 1089-98.]. In this study, the decreased myocardial OxS in the iNOS deficient mice was associated with decreased MMP-1 content, supporting the notion that OxS affects myocardial matrix turnover [3Zhang P, Xu X, Hu X, et al. Inducible nitric oxide synthase deficiency protects the heart from systolic overload-induced ventricular hypertrophy and congestive heart failure Circ Res 2007; 100: 1089-98.]. The conclusion was that iNOS deletion reduced the evidence of TAC-induced myocardial OxS, indicating that iNOS contributed to OxS in the wt mice, either directly through iNOS uncoupling or by iNOS-dependent eNOS uncoupling [3Zhang P, Xu X, Hu X, et al. Inducible nitric oxide synthase deficiency protects the heart from systolic overload-induced ventricular hypertrophy and congestive heart failure Circ Res 2007; 100: 1089-98.]. However, iNOS might also decrease intracellular BH4 and L-Arg availability to eNOS and thereby induce eNOS uncoupling [3Zhang P, Xu X, Hu X, et al. Inducible nitric oxide synthase deficiency protects the heart from systolic overload-induced ventricular hypertrophy and congestive heart failure Circ Res 2007; 100: 1089-98.]. The mentioned study on mice provided the first evidence that iNOS deficiency (iNOS−/−) attenuates TAC-induced ventricular hypertrophy and congestive HF, and that iNOS expressed in response to systolic overload serves as a source for myocardial ROS that contribute to left ventricular dilatation and hypertrophy [3Zhang P, Xu X, Hu X, et al. Inducible nitric oxide synthase deficiency protects the heart from systolic overload-induced ventricular hypertrophy and congestive heart failure Circ Res 2007; 100: 1089-98.]. It has been shown that iNOS has been implicated in many human diseases associated with inflammation [10Fujimoto M, Shimizu N, Kunii K, et al. A role for iNOS in fasting hyperglycemia and impaired insulin signaling in the liver of obese diabetic mice Diabetes 2005; 54: 1340-8., 11LaPointe MC, Isenovic E. Interleukin-1beta regulation of inducible nitric oxide synthase and cyclooxygenase-2 involves the p42/44 and p38 MAPK signaling pathways in cardiac myocytes Hypertension 1999; 33: 276-82.]. To identify individuals with NO deficiency and increased cardiovascular risk, new diagnostic tools, apart from vasomotor testing to assess NO bioactivity, based on the recent advances in the understanding of NO metabolism have been developed. In parallel, new modes of NO delivery to patients have been studied, and new NO donating compounds have been developed to not only substitute for NO deficiency but also to release exogenously supplied NO at specific cellular targets and to overcome disadvantages of conventional NO donors such as organic nitrate and nitrite esters [174Ignarro LJ, Napoli C, Loscalzo J. Nitric oxide donors and cardiovascular agents modulating the bioactivity of nitric oxide: an overview Circ Res 2002; 90: 21-8.]. Nitrite delivery to humans via infusion or inhalation may counterbalance pathophysiologic processes occurring in disease states with a relative or absolute lack of NO, such as hypertension, atherosclerosis, diabetes, acute respiratory distress syndrome of the newborn, neonatal pulmonary hypertension, delayed-onset vasospasm due to subarachnoidal hemorrhage and sickle cell disease [175Rassaf T, Bryan NS, Maloney RE, et al. NO adducts in mammalian red blood cells: too much or too little? Nat Med 2003; 9: 481-2.]. Complete understandings of the mechanism of dysregulation of iNOS are needed in order to develop appropriate therapies for these conditions. The recent studies suggest that upregulation of iNOS may be a protective mechanism against excessive contraction, abnormal signaling resulting from OxS and due to enhanced inflammation in the diabetic vasculature [12Lee JH, Palaia T, Ragolia L. Impaired insulin-mediated vasorelaxation in diabetic Goto-Kakizaki rats is caused by impaired Akt phosphorylation Am J Physiol Cell Physiol 2009; 296: C327-38.]. There are strong reasons for further studies on new therapies involving the inhibition of iNOS activity to improve glycemic control in obesity-related T2DM and cardiac performance in HF and hypertrophy [19Dias FA, Urboniene D, Yuzhakova MA, et al. Ablation of iNOS delays cardiac contractile dysfunction in chronic hypertension Front Biosci (Elite Ed) 2010; 2: 312-24.]. Knowledge gained from recent provided investigations mentioned in this review suggested that inhibitors of iNOS will have potentially important therapeutic implications. This work was supported from the grants No.173033 (to E.R.I. ), No.173023 (to J.Dj.) and No. 41002 (to Dj.R.) funded by the Ministry of Science, Republic of Serbia. Pautz A, Art J, Hahn S, et al. Regulation of the expression of inducible nitric oxide synthase Nitric Oxide 2010; 23: 75-93. Forstermann U, Li H, Schwarz P, Kleinert H. NO Synthesis and NOS regulation In: Forman H, Fukuto J, Torres M, Eds. Signal Transduction by Reactive Oxygen and Nitrogen Species: Pathways and Chemical Principles. Netherlands: Springer 2004; pp. 119-54. Zhang P, Xu X, Hu X, et al. Inducible nitric oxide synthase deficiency protects the heart from systolic overload-induced ventricular hypertrophy and congestive heart failure Circ Res 2007; 100: 1089-98. Sudar E, Dobutovic B, Soskic S, et al. Regulation of inducible nitric oxide synthase activity/expression in rat hearts from ghrelin-treated rats J Physiol Biochem 2010. Ribeiro MO, Antunes E, de Nucci G, Lovisolo SM, Zatz R. Chronic inhibition of nitric oxide synthesis. A new model of arterial hypertension Hypertension 1992; 20: 298-303. Sekiguchi F, Miyake Y, Hirakawa A, et al. Hypertension and impairment of endothelium-dependent relaxation of arteries from spontaneously hypertensive and L-NAME-treated Wistar rats J Smooth Muscle Res 2001; 37: 67-79. Isenovic ER, Meng Y, Divald A, Milivojevic N, Sowers JR. Role of phosphatidylinositol 3-kinase/Akt pathway in angiotensin II and insulin-like growth factor-1 modulation of nitric oxide synthase in vascular smooth muscle cells Endocrine 2002; 19: 287-92. Mori M, Gotoh T. Regulation of nitric oxide production by arginine metabolic enzymes Biochem Biophys Res Commun 2000; 275: 715-9. MacMicking J, Xie QW, Nathan C. Nitric oxide and macrophage function Annu Rev Immunol 1997; 15: 323-50. Fujimoto M, Shimizu N, Kunii K, et al. A role for iNOS in fasting hyperglycemia and impaired insulin signaling in the liver of obese diabetic mice Diabetes 2005; 54: 1340-8. LaPointe MC, Isenovic E. Interleukin-1beta regulation of inducible nitric oxide synthase and cyclooxygenase-2 involves the p42/44 and p38 MAPK signaling pathways in cardiac myocytes Hypertension 1999; 33: 276-82. Lee JH, Palaia T, Ragolia L. Impaired insulin-mediated vasorelaxation in diabetic Goto-Kakizaki rats is caused by impaired Akt phosphorylation Am J Physiol Cell Physiol 2009; 296: C327-38. Nagareddy PR, Soliman H, Lin G, et al. Selective inhibition of protein kinase C beta(2) attenuates inducible nitric oxide synthase-mediated cardiovascular abnormalities in streptozotocin-induced diabetic rats Diabetes 2009; 58: 2355-64. Koya D, King GL. Protein kinase C activation and the development of diabetic complications Diabetes 1998; 47: 859-66. Inoguchi T, Battan R, Handler E, et al. Preferential elevation of protein kinase C isoform beta II and diacylglycerol levels in the aorta and heart of diabetic rats: differential reversibility to glycemic control by islet cell transplantation Proc Natl Acad Sci USA 1992; 89: 11059-63. Xia Z, Kuo KH, Nagareddy PR, et al. N-acetylcysteine attenuates PKCbeta2 overexpression and myocardial hypertrophy in streptozotocin-induced diabetic rats Cardiovasc Res 2007; 73: 770-82. Lin G, Liu Y, MacLeod KM. Regulation of muscle creatine kinase by phosphorylation in normal and diabetic hearts Cell Mol Life Sci 2009; 66: 135-44. Heusch P, Aker S, Boengler K, et al. Increased inducible nitric oxide synthase and arginase II expression in heart failure: no net nitrite/nitrate production and protein S-nitrosylation Am J Physiol Heart Circ Physiol 2010; 299: H446-53. Dias FA, Urboniene D, Yuzhakova MA, et al. Ablation of iNOS delays cardiac contractile dysfunction in chronic hypertension Front Biosci (Elite Ed) 2010; 2: 312-24. Moncada S, Higgs EA. Nitric oxide and the vascular endothelium Handb Exp Pharmacol 2006; 213-54. Hibbs JB, Taintor RR, Vavrin Z, et al. Synthesis of nitric oxide from a terminal guanidine nitrogen atom of l-arginine: a molecular mechanism regulating cellular proliferation that targets intracellular iron. Amsterdam: Elsevier 1990. Morris SM Jr, Billiar TR. New insights into the regulation of inducible nitric oxide synthesis Am J Physiol 1994; 266: E829-39. Forstermann U, Closs EI, Pollock JS, et al. Nitric oxide synthase isozymes. Characterization, purification, molecular cloning, and functions Hypertension 1994; 23: 1121-31. Santolini J, Meade AL, Stuehr DJ. Differences in three kinetic parameters underpin the unique catalytic profiles of nitric-oxide synthases I, II, and III J Biol Chem 2001; 276: 48887-98. Nathan C, Xie QW. Nitric oxide synthases: roles, tolls, and controls Cell 1994; 78: 915-8. Isenovic E, LaPointe MC. Role of Ca(2+)-independent phospholipase A(2) in the regulation of inducible nitric oxide synthase in cardiac myocytes Hypertension 2000; 35: 249-54. Sudar E, Velebit J, Gluvic Z, et al. Hypothetical mechanism of sodium pump regulation by estradiol under primary hypertension J Theor Biol 2008; 251: 584-92. Hill CS, Treisman R. Transcriptional regulation by extracellular signals: mechanisms and specificity Cell 1995; 80: 199-211. Minden A, Lin A, McMahon M, et al. Differential activation of ERK and JNK mitogen-activated protein kinases by Raf-1 and MEKK Science 1994; 266: 1719-23. Downward J. Mechanisms and consequences of activation of protein kinase B/Akt Curr Opin Cell Biol 1998; 10: 262-7. Murga C, Laguinge L, Wetzker R, Cuadrado A, Gutkind JS. Activation of Akt/protein kinase B by G protein-coupled receptors. A role for alpha and beta gamma subunits of heterotrimeric G proteins acting through phosphatidylinositol-3-OH kinasegamma J Biol Chem 1998; 273: 19080-5. Hausel P, Latado H, Courjault-Gautier F, Felley-Bosco E. Src-mediated phosphorylation regulates subcellular distribution and activity of human inducible nitric oxide synthase Oncogene 2006; 25: 198-206. Closs EI, Scheld JS, Sharafi M, Forstermann U. Substrate supply for nitric-oxide synthase in macrophages and endothelial cells: role of cationic amino acid transporters Mol Pharmacol 2000; 57: 68-74. Wu J, Lin Q, Lu Y, Willis WD, Westlund KN. Changes in nitric oxide synthase isoforms in the spinal cord of rat following induction of chronic arthritis Exp Brain Res 1998; 118: 457-65. El-Gayar S, Thuring-Nahler H, Pfeilschifter J, Rollinghoff M, Bogdan C. Translational control of inducible nitric oxide synthase by IL-13 and arginine availability in inflammatory macrophages J Immunol 2003; 171: 4561-8. Hecker M, Preifl C, Stockhausen H, et al. Different mechanism are involved in the inhibition of nitric oxide synthase expression by anti-oxidants in cytokine-stimulated macrophages 1995. Mori M. Regulation of nitric oxide synthesis and apoptosis by arginase and arginine recycling J Nutr 2007; 137: 1616S-20S. Forstermann U, Gath I, Schwarz P, Closs EI, Kleinert H. Isoforms of nitric oxide synthase. Properties, cellular distribution and expressional control Biochem Pharmacol 1995; 50: 1321-32. Tzeng E, Billiar TR, Robbins PD, Loftus M, Stuehr DJ. Expression of human inducible nitric oxide synthase in a tetrahydrobiopterin (H4B)-deficient cell line: H4B promotes assembly of enzyme subunits into an active dimer Proc Natl Acad Sci USA 1995; 92: 11771-5. Ionova IA, Vasquez-Vivar J, Whitsett J, et al. Deficient BH4 production via de novo and salvage pathways regulates NO responses to cytokines in adult cardiac myocytes Am J Physiol Heart Circ Physiol 2008; 295: H2178-87. Muhl H, Pfeilschifter J. Tetrahydrobiopterin is a limiting factor of nitric oxide generation in interleukin 1 beta-stimulated rat glomerular mesangial cells Kidney Int 1994; 46: 1302-6. Ratovitski EA, Alam MR, Quick RA, et al. Kalirin inhibition of inducible nitric-oxide synthase J Biol Chem 1999; 274: 993-. Ratovitski EA, Bao C, Quick RA, et al. An inducible nitric-oxide synthase (NOS)-associated protein inhibits NOS dimerization and activity J Biol Chem 1999; 274: 30250-7. Jones RJ, Jourd'heuil D, Salerno JC, Smith SM, Singer HA. iNOS regulation by calcium/calmodulin-dependent protein kinase II in vascular smooth muscle Am J Physiol Heart Circ Physiol 2007; 292: H2634-42. Knowles RG, Salter M, Brooks SL, Moncada S. Anti-inflammatory glucocorticoids inhibit the induction by endotoxin of nitric oxide synthase in the lung, liver and aorta of the rat Biochem Biophys Res Commun 1990; 172: 1042-8. Radomski MW, Palmer RM, Moncada S. Glucocorticoids inhibit the expression of an inducible, but not the constitutive, nitric oxide synthase in vascular endothelial cells Proc Natl Acad Sci USA 1990; 87: 10043-7. Fukuchi M, Giaid A. Endothelial expression of endothelial nitric oxide synthase and endothelin-1 in human coronary artery disease. Specific reference to underlying lesion Lab Invest 1999; 79: 659-70. Wilcox JN, Subramanian RR, Sundell CL, et al. Expression of multiple isoforms of nitric oxide synthase in normal and atherosclerotic vessels Arterioscler Thromb Vasc Biol 1997; 17: 2479-88. Azadzoi KM, Master TA, Siroky MB. Effect of chronic ischemia on constitutive and inducible nitric oxide synthase expression in erectile tissue J Androl 2004; 25: 382-8. Kim JW, Kang KW, Oh GT, et al. Induction of hepatic inducible nitric oxide synthase by cholesterol in vivo and in vitro Exp Mol Med 2002; 34: 137-44. Aliev G, Bodin P, Burnstock G. Free radical generators cause changes in endothelial and inducible nitric oxide synthases and endothelin-1 immunoreactivity in endothelial cells from hyperlipidemic rabbits Mol Genet Metab 1998; 63: 191-7. Bu DX, Erl W, de Martin R, Hansson GK, Yan ZQ. IKKbeta-dependent NF-kappaB pathway controls vascular inflammation and intimal hyperplasia FASEB J 2005; 19: 1293-5. De Martin R, Hoeth M, Hofer-Warbinek R, Schmid JA. The transcription factor NF-kappa B and the regulation of vascular cell function Arterioscler Thromb Vasc Biol 2000; 20: E83-8. Ginnan R, Guikema BJ, Halligan KE, Singer HA, Jourd'heuil D. Regulation of smooth muscle by inducible nitric oxide synthase and NADPH oxidase in vascular proliferative diseases Free Radic Biol Med 2008; 44: 1232-45. Hecker M, Cattaruzza M, Wagner AH. Regulation of inducible nitric oxide synthase gene expression in vascular smooth muscle cells Gen Pharmacol 1999; 32: 9-16. Jiang B, Xu S, Hou X, et al. Temporal control of NF-kappaB activation by ERK differentially regulates interleukin-1beta-induced gene expression J Biol Chem 2004; 279: 1323-9. Beraud C, Henzel WJ, Baeuerle PA. Involvement of regulatory and catalytic subunits of phosphoinositide 3-kinase in NF-kappaB activation Proc Natl Acad Sci USA 1999; 96: 429-34. Bitar MS, Ayed AK, Abdel-Halim SM, Isenovic ER, Al-Mulla F. Inflammation and apoptosis in aortic tissues of aged type II diabetes: amelioration with alpha-lipoic acid through phosphatidylinositol 3-kinase/Akt- dependent mechanism Life Sci 2010; 86: 844-53. Da Silva J, Pierrat B, Mary JL, Lesslauer W. Blockade of p38 mitogen-activated protein kinase pathway inhibits inducible nitric-oxide synthase expression in mouse astrocytes J Biol Chem 1997; 272: 28373-80. Hua LL, Zhao ML, Cosenza M, et al. Role of mitogen-activated protein kinases in inducible nitric oxide synthase and TNFalpha expression in human fetal astrocytes J Neuroimmunol 2002; 126: 180-9. Jiang B, Xu S, Brecher P, Cohen RA. Growth factors enhance interleukin-1 beta-induced persistent activation of nuclear factor-kappa B in rat vascular smooth muscle cells Arterioscler Thromb Vasc Biol 2002; 22: 1811-6. Xu S, Bayat H, Hou X, Jiang B. Ribosomal S6 kinase-1 modulates interleukin-1beta-induced persistent activation of NF-kappaB through phosphorylation of IkappaBbeta Am J Physiol Cell Physiol 2006; 291: C1336-45. Gnanapavan S, Kola B, Bustin SA, et al. The tissue distribution of the mRNA of ghrelin and subtypes of its receptor, GHS-R, in humans J Clin Endocrinol Metab 2002; 87: 2988. Kim J, Song G, Gao H, et al. Insulin-like growth factor II activates phosphatidylinositol 3-kinase-protooncogenic protein kinase 1 and mitogen-activated protein kinase cell Signaling pathways, and stimulates migration of ovine trophectoderm cells Endocrinology 2008; 149: 3085-94. Elizalde M, Ryden M, van Harmelen V, et al. Expression of nitric oxide synthases in subcutaneous adipose tissue of nonobese and obese humans J Lipid Res 2000; 41: 1244-51. Shimabukuro M, Higa M, Zhou YT, et al. Lipoapoptosis in beta-cells of obese prediabetic fa/fa rats. Role of serine palmitoyltransferase overexpression J Biol Chem 1998; 273: 32487-90. Ceriello A, Quagliaro L, D'Amico M, et al. Acute hyperglycemia induces nitrotyrosine formation and apoptosis in perfused heart from rat Diabetes 2002; 51: 1076-82. Sharma K, Danoff TM, DePiero A, Ziyadeh FN. Enhanced expression of inducible nitric oxide synthase in murine macrophages and glomerular mesangial cells by elevated glucose levels: possible mediation via protein kinase C Biochem Biophys Res Commun 1995; 207: 80-. Sugita H, Kaneki M, Tokunaga E, et al. Inducible nitric oxide synthase plays a role in LPS-induced hyperglycemia and insulin resistance Am J Physiol Endocrinol Metab 2002; 282: E386-94. Xie QW, Kashiwabara Y, Nathan C. Role of transcription factor NF-kappa B/Rel in induction of nitric oxide synthase J Biol Chem 1994; 269: 4705-8. Haidara MA, Yassin HZ, Zakula Z, Mikhailidis DP, Isenovic ER. Diabetes and antioxidants: myth or reality? Curr Vasc Pharmacol 2010; 8: 661-72. Perreault M, Marette A. Targeted disruption of inducible nitric oxide synthase protects against obesity-linked insulin resistance in muscle Nat Med 2001; 7: 1138-43. Zhou YT, Grayburn P, Karim A, et al. Lipotoxic heart disease in obese rats: implications for human obesity Proc Natl Acad Sci USA 2000; 97: 1784-9. Torres SH, De Sanctis JB, de LBM, Hernandez N, Finol HJ. Inflammation and nitric oxide production in skeletal muscle of type 2 diabetic patients J Endocrinol 2004; 181: 419-27. Tannous M, Rabini RA, Vignini A, et al. Evidence for iNOS-dependent peroxynitrite production in diabetic platelets Diabetologia 1999; 42: 539-44. Bedard S, Marcotte B, Marette A. Cytokines modulate glucose transport in skeletal muscle by inducing the expression of inducible nitric oxide synthase Biochem J 1997; 325(Pt 2): 487-93. Dobashi K, Asayama K, Nakane T, et al. Troglitazone inhibits the expression of inducible nitric oxide synthase in adipocytes in vitro and in vivo study in 3T3-L1 cells and Otsuka Long-Evans Tokushima Fatty rats Life Sci 2000; 67: 2093-101. Maggi LB Jr, Sadeghi H, Weigand C, et al. Anti-inflammatory actions of 15-deoxy-delta 12,14-prostaglandin J2 and troglitazone: evidence for heat shock-dependent and -independent inhibition of cytokine-induced inducible nitric oxide synthase expression Diabetes 2000; 49: 346-55. Da Ros R, Assaloni R, Ceriello A. The preventive anti-oxidant action of thiazolidinediones: a new therapeutic prospect in diabetes and insulin resistance Diabet Med 2004; 21: 1249-52. Pilon G, Dallaire P, Marette A. Inhibition of inducible nitric-oxide synthase by activators of AMP-activated protein kinase: a new mechanism of action of insulin-sensitizing drugs J Biol Chem 2004; 279: 20767-74. Yuan M, Konstantopoulos N, Lee J, et al. Reversal of obesity- and diet-induced insulin resistance with salicylates or targeted disruption of Ikkbeta Science 2001; 293: 1673-7. Hundal RS, Petersen KF, Mayerson AB, et al. Mechanism by which high-dose aspirin improves glucose metabolism in type 2 diabetes J Clin Invest 2002; 109: 1321-6. Kim JK, Kim YJ, Fillmore JJ, et al. Prevention of fat-induced insulin resistance by salicylate J Clin Invest 2001; 108: 437-6. Kido Y, Burks DJ, Withers D, et al. Tissue-specific insulin resistance in mice with mutations in the insulin receptor, IRS-1, and IRS-2 J Clin Invest 2000; 105: 199-205. Kubota N, Tobe K, Terauchi Y, et al. Disruption of insulin receptor substrate 2 causes type 2 diabetes because of liver insulin resistance and lack of compensatory beta-cell hyperplasia Diabetes 2000; 49: 1880-9. Valverde AM, Burks DJ, Fabregat I, et al. Molecular mechanisms of insulin resistance in IRS-2-deficient hepatocytes Diabetes 2003; 52: 2239-48. Suzuki R, Tobe K, Aoyama M, et al. Both insulin signaling defects in the liver and obesity contribute to insulin resistance and cause diabetes in Irs2(-/-) mice J Biol Chem 2004; 279: 25039-49. Shimomura I, Matsuda M, Hammer RE, et al. Decreased IRS-2 and increased SREBP-1c lead to mixed insulin resistance and sensitivity in livers of lipodystrophic and ob/ob mice Mol Cell 2000; 6: 77-86. Kerouz NJ, Horsch D, Pons S, Kahn CR. Differential regulation of insulin receptor substrates-1 and -2 (IRS-1 and IRS-2) and phosphatidylinositol 3-kinase isoforms in liver and muscle of the obese diabetic (ob/ob) mouse J Clin Invest 1997; 100: 3164-72. Anai M, Funaki M, Ogihara T, et al. Altered expression levels and impaired steps in the pathway to phosphatidylinositol 3-kinase activation via insulin receptor substrates 1 and 2 in Zucker fatty rats Diabetes 1998; 47: 13-23. Kim F, Pham M, Maloney E, et al. Vascular inflammation, insulin resistance, and reduced nitric oxide production precede the onset of peripheral insulin resistance Arterioscler Thromb Vasc Biol 2008; 28: 1982-8. Rizzo NO, Maloney E, Pham M, et al. Reduced NO-cGMP signaling contributes to vascular inflammation and insulin resistance induced by high-fat feeding Arterioscler Thromb Vasc Biol 2010; 30: 758-65. Shoelson SE, Lee J, Yuan M. Inflammation and the IKK beta/I kappa B/NF-kappa B axis in obesity- and diet-induced insulin resistance Int J Obes Relat Metab Disord 2003; 27(Suppl 3): S49-52. Roden M, Price TB, Perseghin G, et al. Mechanism of free fatty acid-induced insulin resistance in humans J Clin Invest 1996; 97: 2859-65. Kim F, Tysseling KA, Rice J, et al. Free fatty acid impairment of nitric oxide production in endothelial cells is mediated by IKKbeta Arterioscler Thromb Vasc Biol 2005; 25: 989-4. Hotamisligil GS. Inflammatory pathways and insulin action Int J Obes Relat Metab Disord 2003; 27(Suppl 3): S53-5. Charbonneau A, Marette A. Inducible nitric oxide synthase induction underlies lipid-induced hepatic insulin resistance in mice: potential role of tyrosine nitration of insulin signaling proteins Diabetes 2010; 59: 861-71. Schenk S, Saberi M, Olefsky JM. Insulin sensitivity: modulation by nutrients and inflammation J Clin Invest 2008; 118: 2992-3002. Carvalho-Filho MA, Ueno M, Hirabara SM, et al. S-nitrosation of the insulin receptor, insulin receptor substrate 1, and protein kinase B/Akt: a novel mechanism of insulin resistance Diabetes 2005; 54: 959-67. Boden G. Fatty acid-induced inflammation and insulin resistance in skeletal muscle and liver Curr Diab Rep 2006; 6: 177-81. Noronha BT, Li JM, Wheatcroft SB, Shah AM, Kearney MT. Inducible nitric oxide synthase has divergent effects on vascular and metabolic function in obesity Diabetes 2005; 54: 1082-9. Kapur S, Bedard S, Marcotte B, Cote CH, Marette A. Expression of nitric oxide synthase in skeletal muscle: a novel role for nitric oxide as a modulator of insulin action Diabetes 1997; 46: 1691-700. Yu C, Chen Y, Cline GW, et al. Mechanism by which fatty acids inhibit insulin activation of insulin receptor substrate-1 (IRS-1)-associated phosphatidylinositol 3-kinase activity in muscle J Biol Chem 2002; 277: 50230-6. Park E, Wong V, Guan X, Oprescu AI, Giacca A. Salicylate prevents hepatic insulin resistance caused by short-term elevation of free fatty acids in vivo J Endocrinol 2007; 195: 323-1. Hotamisligil GS, Erbay E. Nutrient sensing and inflammation in metabolic diseases Nat Rev Immunol 2008; 8: 923-34. Pacher P, Obrosova IG, Mabley JG, Szabo C. Role of nitrosative stress and peroxynitrite in the pathogenesis of diabetic complications. Emerging new therapeutical strategies Curr Med Chem 2005; 12: 267-75. Nishikawa T, Edelstein D, Du XL, et al. Normalizing mitochondrial superoxide production blocks three pathways of hyperglycaemic damage Nature 2000; 404: 787-90. Yang P, Cao Y, Li H. Hyperglycemia induces inducible nitric oxide synthase gene expression and consequent nitrosative stress via c-Jun N-terminal kinase activation Am J Obstet Gynecol 2010; 203: 185 e5-1. Yang P, Zhao Z, Reece EA. Activation of oxidative stress signaling that is implicated in apoptosis with a mouse model of diabetic embryopathy Am J Obstet Gynecol 2008; 198: 130-7.: e1-7. Yang P, Zhao Z, Reece EA. Blockade of c-Jun N-terminal kinase activation abrogates hyperglycemia-induced yolk sac vasculopathy in vitro Am J Obstet Gynecol 2008; 198: 321-7.: e1-7. Yang P, Zhao Z, Reece EA. Involvement of c-Jun N-terminal kinases activation in diabetic embryopathy Biochem Biophys Res Commun 2007; 357: 749-54. Nath AK, Enciso J, Kuniyasu M, et al. Nitric oxide modulates murine yolk sac vasculogenesis and rescues glucose induced vasculopathy Development 2004; 131: 2485-96. Forrester K, Ambs S, Lupold SE, et al. Nitric oxide-induced p53 accumulation and regulation of inducible nitric oxide synthase expression by wild-type p53 Proc Natl Acad Sci USA 1996; 93: 2442-7. Bossi G, Griffiths GM. Degranulation plays an essential part in regulating cell surface expression of Fas ligand in T cells and natural killer cells Nat Med 1999; 5: 90-6. Bennett M, Macdonald K, Chan SW, et al. Cell surface trafficking of Fas: a rapid mechanism of p53-mediated apoptosis Science 1998; 282: 290-3. Zakula Z, Koricanac G, Putnikovic B, Markovic L, Isenovic ER. Regulation of the inducible nitric oxide synthase and sodium pump in type 1 diabetes Med Hypotheses 2007; 69: 302-6. Grundy SM, Benjamin IJ, Burke GL, et al. Diabetes and cardiovascular disease: a statement for healthcare professionals from the American Heart Association Circulation 1999; 100: 1134-46. Litwin SE, Raya TE, Anderson PG, Daugherty S, Goldman S. Abnormal cardiac function in the streptozotocin-diabetic rat. Changes in active and passive properties of the left ventricle J Clin Invest 1990; 86: 481-8. Rubler S, Sajadi RM, Araoye MA, Holford FD. Noninvasive estimation of myocardial performance in patients with diabetes. Effect of alcohol administration Diabetes 1978; 27: 127-34. Ren J, Walsh MF, Hamaty M, Sowers JR, Brown RA. Altered inotropic response to IGF-I in diabetic rat heart: influence of intracellular Ca2+ and NO Am J Physiol 1998; 275: H823-30. Ren J, Sowers JR, Walsh MF, Brown RA. Reduced contractile response to insulin and IGF-I in ventricular myocytes from genetically obese Zucker rats Am J Physiol Heart Circ Physiol 2000; 279: H1708-14. Walsh MF, Ali SS, Sowers JR. Vascular insulin/insulin-like growth factor-1 resistance in female obese Zucker rats Metabolism 2001; 50: 607-12. Tirupattur PR, Ram JL, Standley PR, Sowers JR. Regulation of Na+,K(+)-ATPase gene expression by insulin in vascular smooth muscle cells Am J Hypertens 1993; 6: 626-9. Moncada S, Palmer RM, Higgs EA. Nitric oxide: physiology, pathophysiology, and pharmacology Pharmacol Rev 1991; 43: 109-42. Yan Z, Hansson GK. Overexpression of inducible nitric oxide synthase by neointimal smooth muscle cells Circ Res 1998; 82: 21-9. Kibbe M, Billiar T, Tzeng E. Inducible nitric oxide synthase and vascular injury Cardiovasc Res 1999; 43: 650-7. Geller DA, Lowenstein CJ, Shapiro RA, et al. Molecular cloning and expression of inducible nitric oxide synthase from human hepatocytes Proc Natl Acad Sci USA 1993; 90: 3491-5. Ward ME, Toporsian M, Scott JA, et al. Hypoxia induces a functionally significant and translationally efficient neuronal NO synthase mRNA variant J Clin Invest 2005; 115: 3128-9. Papadaki M, Tilton RG, Eskin SG, McIntire LV. Nitric oxide production by cultured human aortic smooth muscle cells: stimulation by fluid flow Am J Physiol 1998; 274: H616-26. Nakata S, Tsutsui M, Shimokawa H, et al. Vascular neuronal NO synthase is selectively upregulated by platelet-derived growth factor: involvement of the MEK/ERK pathway Arterioscler Thromb Vasc Biol 2005; 25: 2502-8. Radomski MW, Palmer RM, Moncada S. An L-arginine/nitric oxide pathway present in human platelets regulates aggregation Proc Natl Acad Sci USA 1990; 87: 5193-7. Kubes P, Suzuki M, Granger DN. Nitric oxide: an endogenous modulator of leukocyte adhesion Proc Natl Acad Sci USA 1991; 88: 4651-5. Isenovic E, Muniyappa R, Milivojevic N, Rao Y, Sowers JR. Role of PI3-kinase in isoproterenol and IGF-1 induced ecNOS activity Biochem Biophys Res Commun 2001; 285: 954-8. Hansson GK, Geng YJ, Holm J, et al. Arterial smooth muscle cells express nitric oxide synthase in response to endothelial injury J Exp Med 1994; 180: 733-8. Miyoshi T, Li Y, Shih DM, et al. Deficiency of inducible NO synthase reduces advanced but not early atherosclerosis in apolipoprotein E-deficient mice Life Sci 2006; 79: 525-31. Aker S, Snabaitis AK, Konietzka I, et al. Inhibition of the Na+/H+ exchanger attenuates the deterioration of ventricular function during pacing-induced heart failure in rabbits Cardiovasc Res 2004; 63: 273-82. Vejlstrup NG, Bouloumie A, Boesgaard S, et al. Inducible nitric oxide synthase (iNOS) in the human heart: expression and localization in congestive heart failure J Mol Cell Cardiol 1998; 30: 1215-23. Haywood GA, Tsao PS, von der Leyen HE, et al. Expression of inducible nitric oxide synthase in human heart failure Circulation 1996; 93: 1087-94. Fukuchi M, Hussain SN, Giaid A. Heterogeneous expression and activity of endothelial and inducible nitric oxide synthases in end-stage human heart failure: their relation to lesion site and beta-adrenergic receptor therapy Circulation 1998; 98: 132-9. Liao X, Liu JM, Du L, et al. Nitric oxide signaling in stretch-induced apoptosis of neonatal rat cardiomyocytes FASEB J 2006; 20: 1883-5. Rastaldo R, Pagliaro P, Cappello S, et al. Nitric oxide and cardiac function Life Sci 2007; 81: 779-93. Schulz R, Rassaf T, Massion PB, Kelm M, Balligand JL. Recent advances in the understanding of the role of nitric oxide in cardiovascular homeostasis Pharmacol Ther 2005; 108: 225-56. Otani H. The role of nitric oxide in myocardial repair and remodeling Antioxid Redox Signal 2009; 11: 1913-28. Ziolo MT, Katoh H, Bers DM. Expression of inducible nitric oxide synthase depresses beta-adrenergic-stimulated calcium release from the sarcoplasmic reticulum in intact ventricular myocytes Circulation 2001; 104: 2961-6. Gealekman O, Abassi Z, Rubinstein I, Winaver J, Binah O. Role of myocardial inducible nitric oxide synthase in contractile dysfunction and beta-adrenergic hyporesponsiveness in rats with experimental volume-overload heart failure Circulation 2002; 105: 236-43. Funakoshi H, Kubota T, Kawamura N, et al. Disruption of inducible nitric oxide synthase improves beta-adrenergic inotropic responsiveness but not the survival of mice with cytokine-induced cardiomyopathy Circ Res 2002; 90: 959-65. Post H, Schulz R, Gres P, Heusch G. No involvement of nitric oxide in the limitation of beta-adrenergic inotropic responsiveness during ischemia Am J Physiol Heart Circ Physiol 2001; 281: H2392-7. Gallo MP, Malan D, Bedendi I, et al. Regulation of cardiac calcium current by NO and cGMP-modulating agents Pflugers Arch 2001; 441: 621-8. Kelm M, Schafer S, Dahmann R, et al. Nitric oxide induced contractile dysfunction is related to a reduction in myocardial energy generation Cardiovasc Res 1997; 36: 185-94. Heusch G, Post H, Michel MC, Kelm M, Schulz R. Endogenous nitric oxide and myocardial adaptation to ischemia Circ Res 2000; 87: 146-52. Davidson SM, Duchen MR. Effects of NO on mitochondrial function in cardiomyocytes: Pathophysiological relevance Cardiovasc Res 2006; 71: 10-21. Chen Y, Traverse JH, Du R, Hou M, Bache RJ. Nitric oxide modulates myocardial oxygen consumption in the failing heart Circulation 2002; 106: 273-9. Razavi HM, Hamilton JA, Feng Q. Modulation of apoptosis by nitric oxide: implications in myocardial ischemia and heart failure Pharmacol Ther 2005; 106: 147-62. Andreka P, Tran T, Webster KA, Bishopric NH. Nitric oxide and promotion of cardiac myocyte apoptosis Mol Cell Biochem 2004; 263: 35-53. Heger J, Godecke A, Flogel U, et al. Cardiac-specific over-expression of inducible nitric oxide synthase does not result in severe cardiac dysfunction Circ Res 2002; 90: 93-. Mungrue IN, Gros R, You X, et al. Cardiomyocyte overexpression of iNOS in mice results in peroxynitrite generation, heart block, and sudden death J Clin Invest 2002; 109: 735-43. Wunderlich C, Flogel U, Godecke A, Heger J, Schrader J. Acute inhibition of myoglobin impairs contractility and energy state of iNOS-overexpressing hearts Circ Res 2003; 92: 1352-8. Wang WW, Jenkinson CP, Griscavage JM, et al. Co-induction of arginase and nitric oxide synthase in murine macrophages activated by lipopolysaccharide Biochem Biophys Res Commun 1995; 210: 1009-6. Zunic G, Supic G, Magic Z, Draskovic B, Vasiljevska M. Increased nitric oxide formation followed by increased arginase activity induces relative lack of arginine at the wound site and alters whole nutritional status in rats almost within the early healing period Nitric Oxide 2009; 20: 253-8. Wells SM, Holian A. Asymmetric dimethylarginine induces oxidative and nitrosative stress in murine lung epithelial cells Am J Respir Cell Mol Biol 2007; 36: 520-8. Canton M, Neverova I, Menabo R, Van Eyk J, Di Lisa F. Evidence of myofibrillar protein oxidation induced by postischemic reperfusion in isolated rat hearts Am J Physiol Heart Circ Physiol 2004; 286: H870-7. Canton M, Skyschally A, Menabo R, et al. 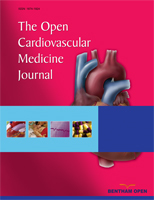 Oxidative modification of tropomyosin and myocardial dysfunction following coronary microembolization Eur Heart J 2006; 27: 875-1. White AR, Ryoo S, Li D, et al. Knockdown of arginase I restores NO signaling in the vasculature of old rats Hypertension 2006; 47: 245-51. Zhang C, Hein TW, Wang W, et al. Upregulation of vascular arginase in hypertension decreases nitric oxide-mediated dilation of coronary arterioles Hypertension 2004; 44: 935-43. Kelly RA, Balligand JL, Smith TW. Nitric oxide and cardiac function Circ Res 1996; 79: 363-80. Ziolo MT, Maier LS, Piacentino V 3rd, et al. Myocyte nitric oxide synthase 2 contributes to blunted beta-adrenergic response in failing human hearts by decreasing Ca2+ transients Circulation 2004; 109: 1886-91. Yamamoto S, Tsutsui H, Tagawa H, et al. Role of myocyte nitric oxide in beta-adrenergic hyporesponsiveness in heart failure Circulation 1997; 95: 1111-4. Mungrue IN, Husain M, Stewart DJ. The role of NOS in heart failure: lessons from murine genetic models Heart Fail Rev 2002; 7: 407-22. Ide T, Tsutsui H, Kinugawa S, et al. Direct evidence for increased hydroxyl radicals originating from superoxide in the failing myocardium Circ Res 2000; 86: 152-7. Liu YH, Carretero OA, Cingolani OH, et al. Role of inducible nitric oxide synthase in cardiac function and remodeling in mice with heart failure due to myocardial infarction Am J Physiol Heart Circ Physiol 2005; 289: H2616-23. Siwik DA, Pagano PJ, Colucci WS. Oxidative stress regulates collagen synthesis and matrix metalloproteinase activity in cardiac fibroblasts Am J Physiol Cell Physiol 2001; 280: C53-60. Shiomi T, Tsutsui H, Matsusaka H, et al. Overexpression of glutathione peroxidase prevents left ventricular remodeling and failure after myocardial infarction in mice Circulation 2004; 109: 544-9. Takimoto E, Champion HC, Li M, et al. Oxidant stress from nitric oxide synthase-3 uncoupling stimulates cardiac pathologic remodeling from chronic pressure load J Clin Invest 2005; 115: 1221-31. Ignarro LJ, Napoli C, Loscalzo J. Nitric oxide donors and cardiovascular agents modulating the bioactivity of nitric oxide: an overview Circ Res 2002; 90: 21-8. Rassaf T, Bryan NS, Maloney RE, et al. NO adducts in mammalian red blood cells: too much or too little? Nat Med 2003; 9: 481-2.